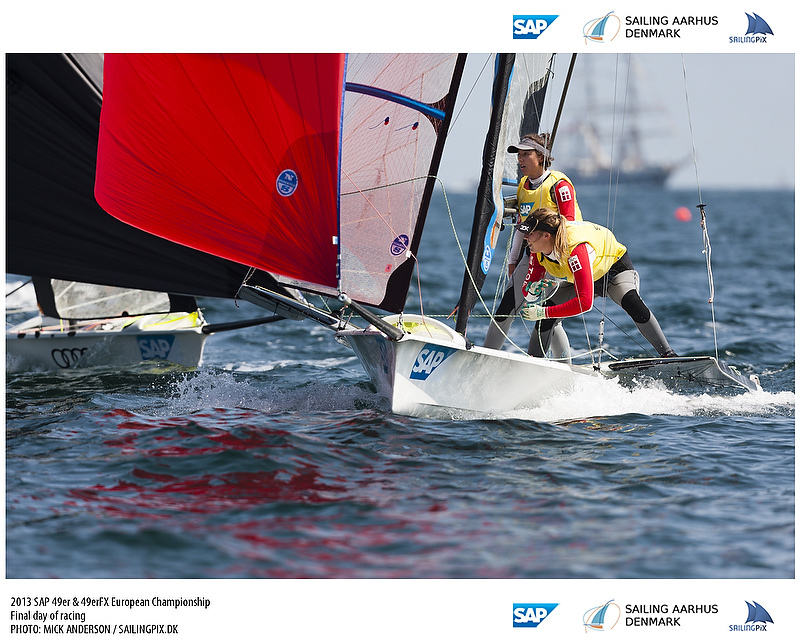 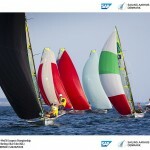 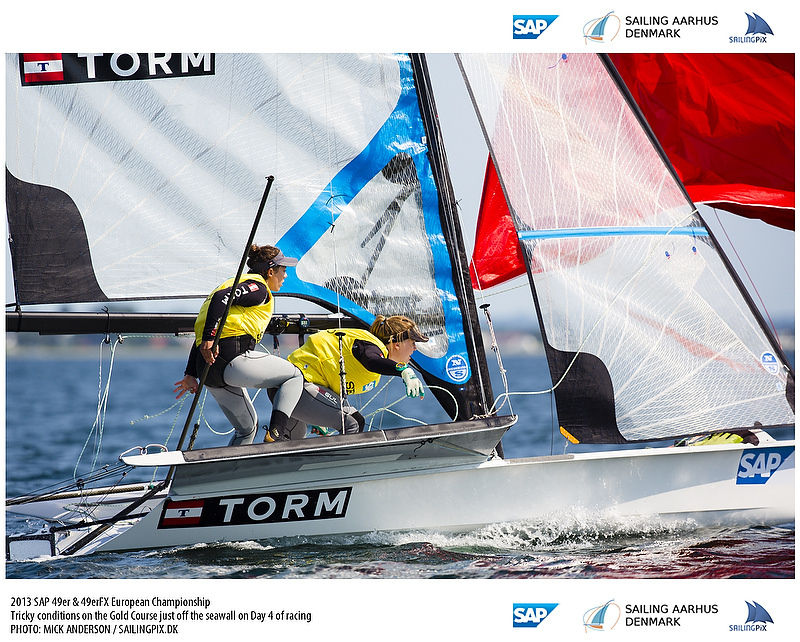 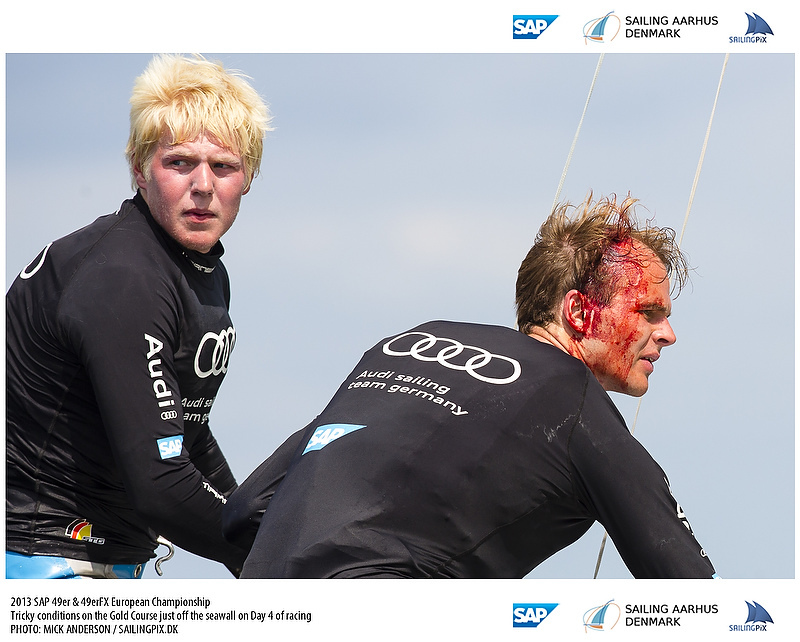 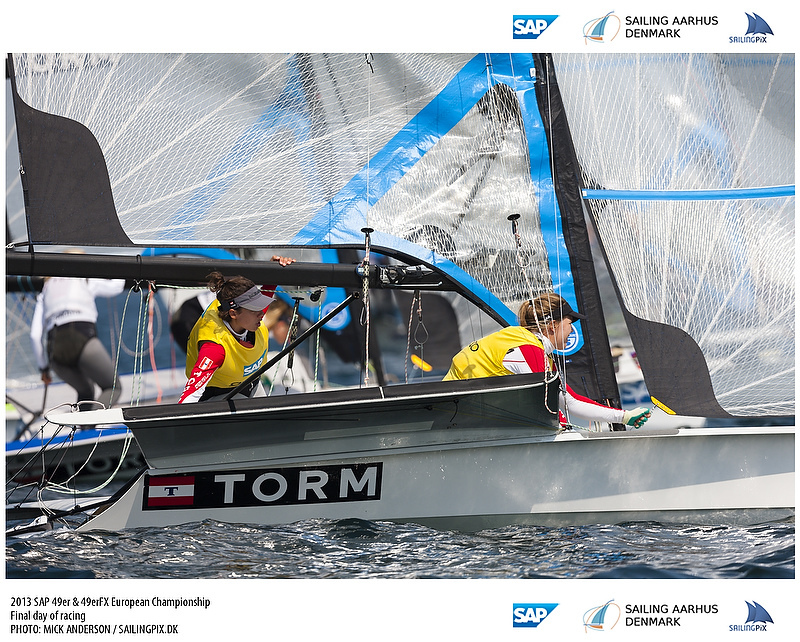 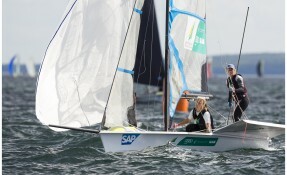 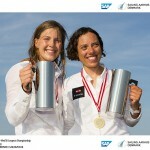 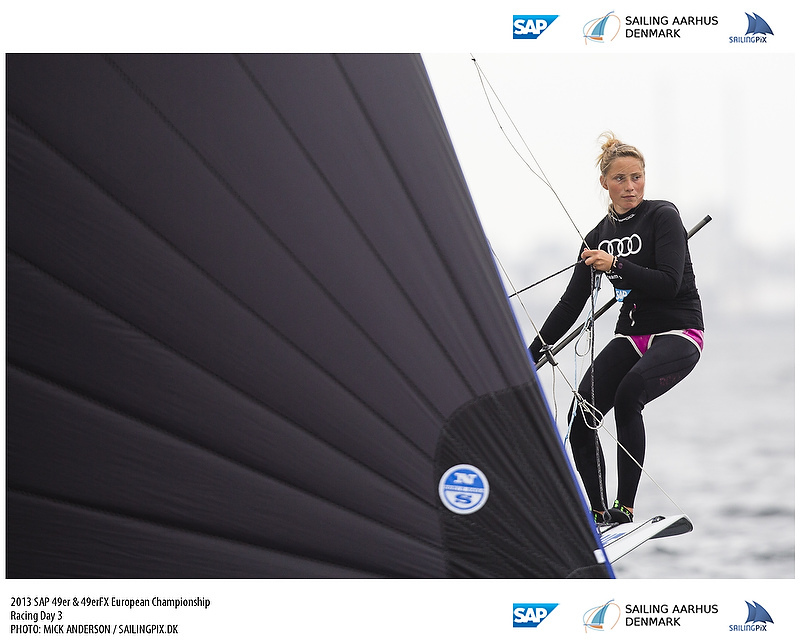 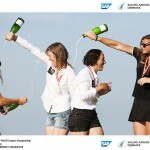 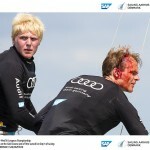 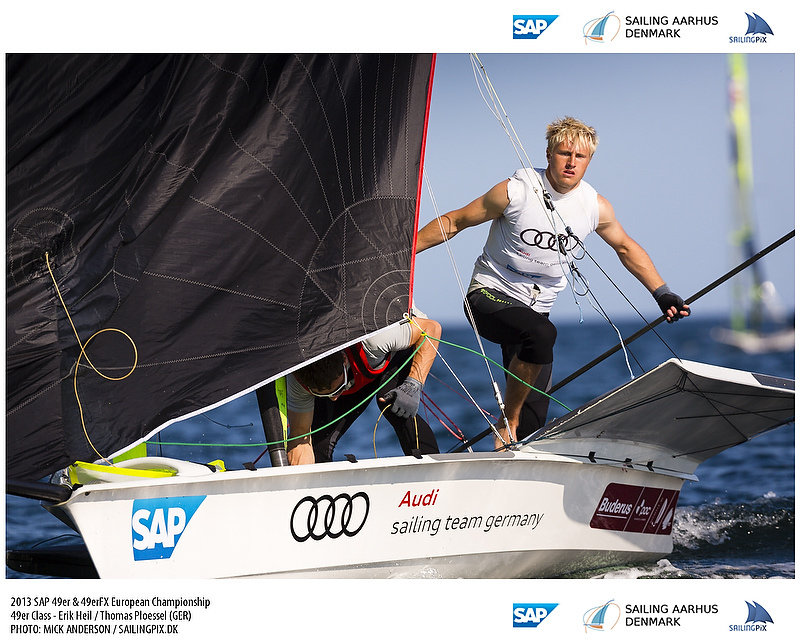 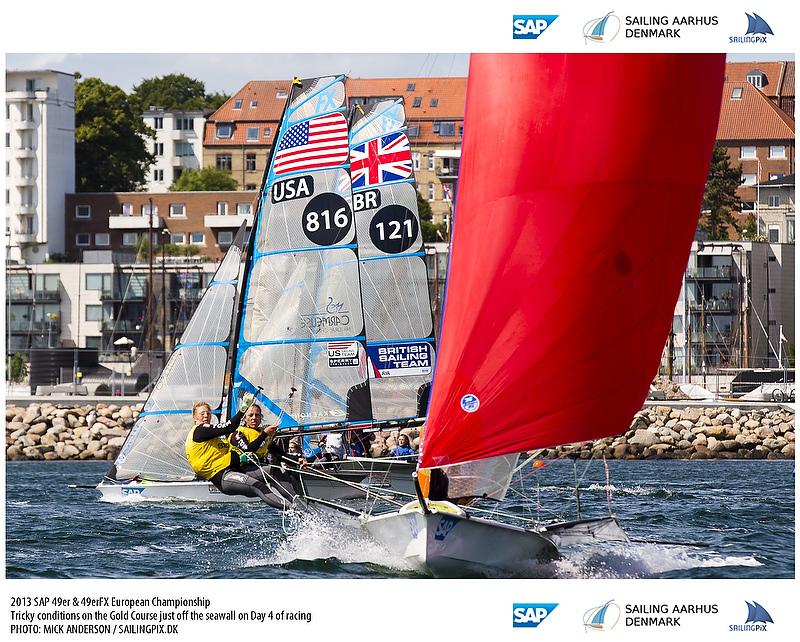 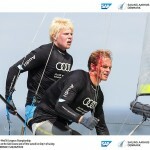 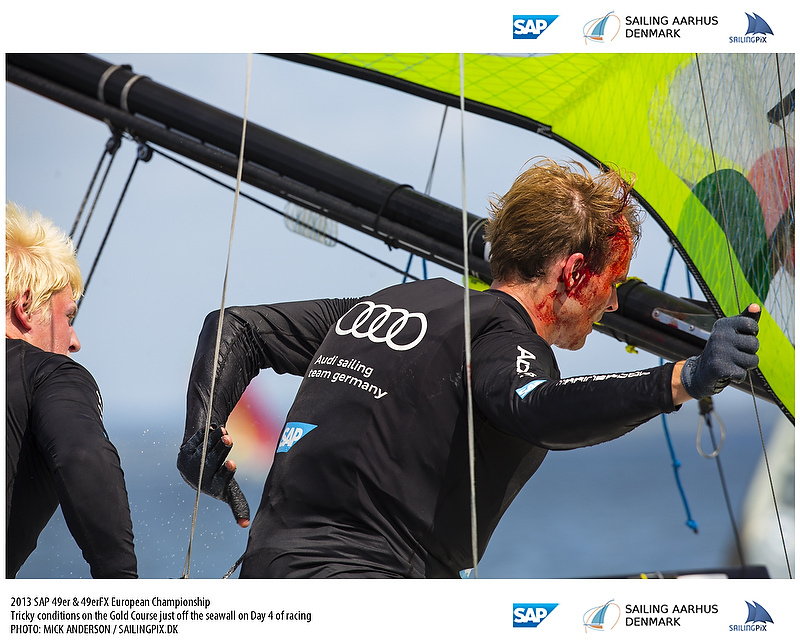 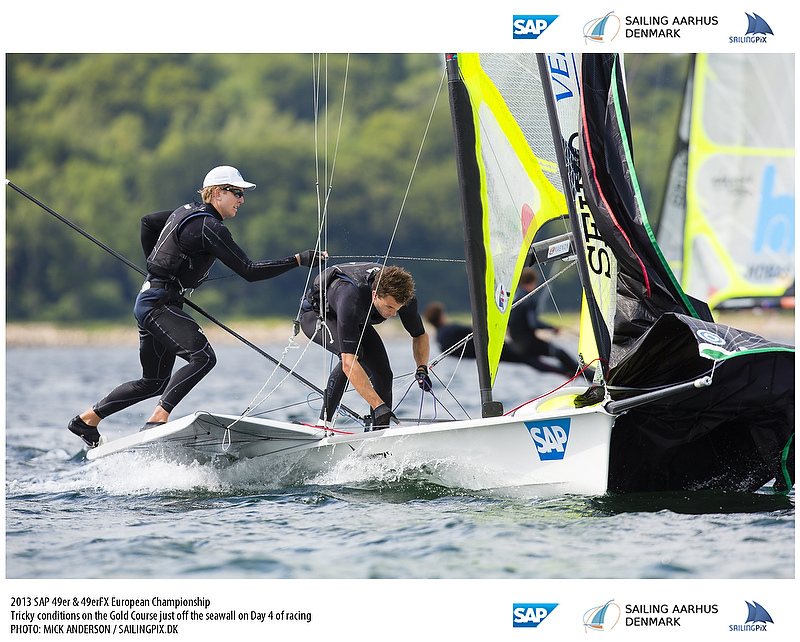 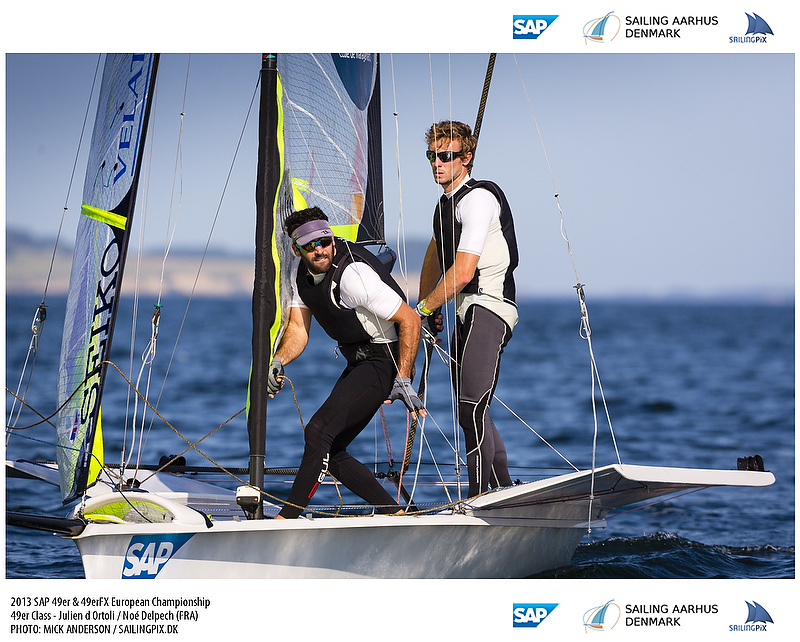 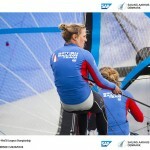 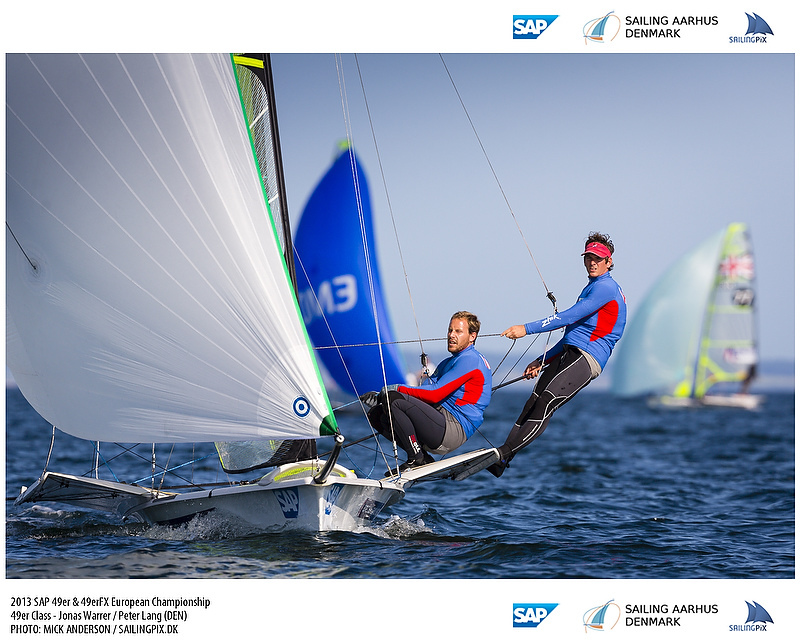 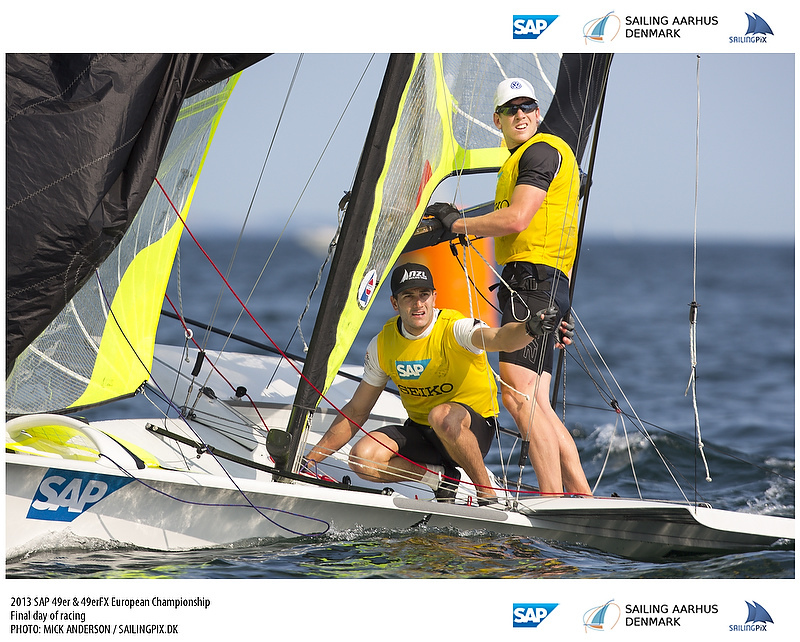 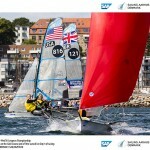 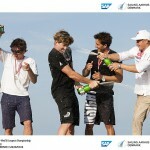 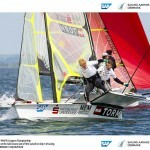 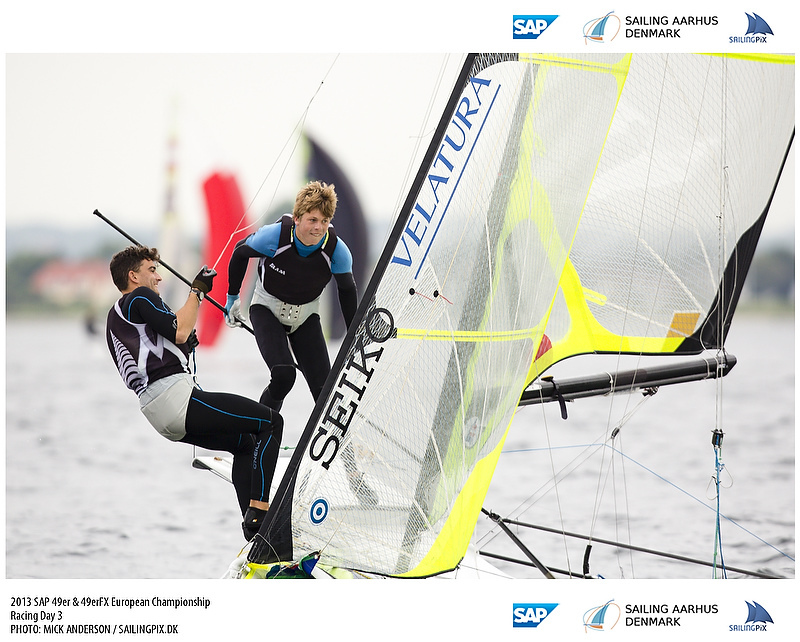 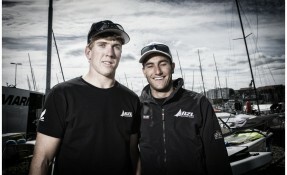 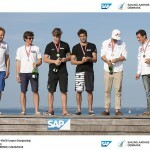 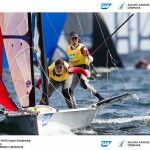 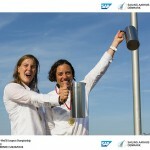 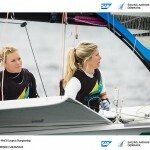 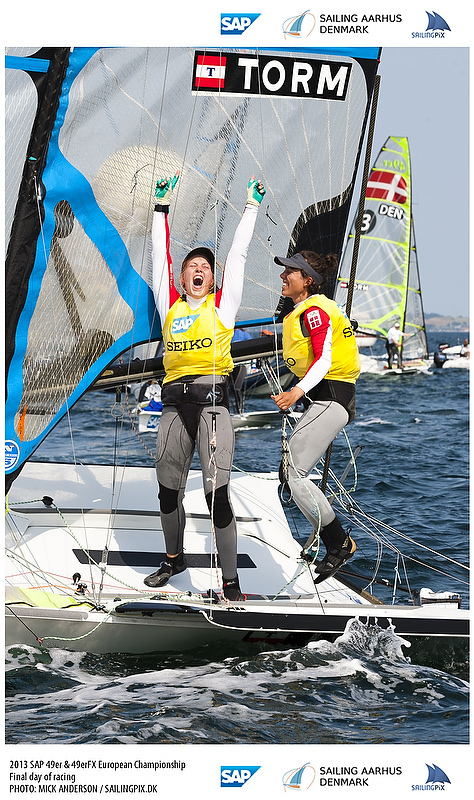 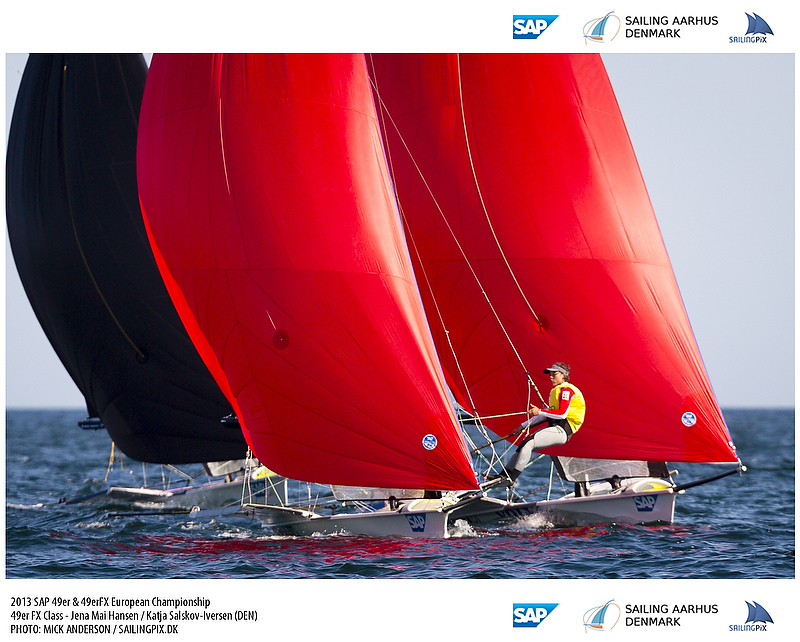 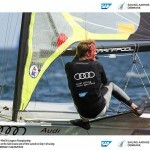 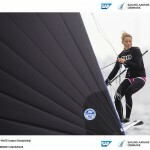 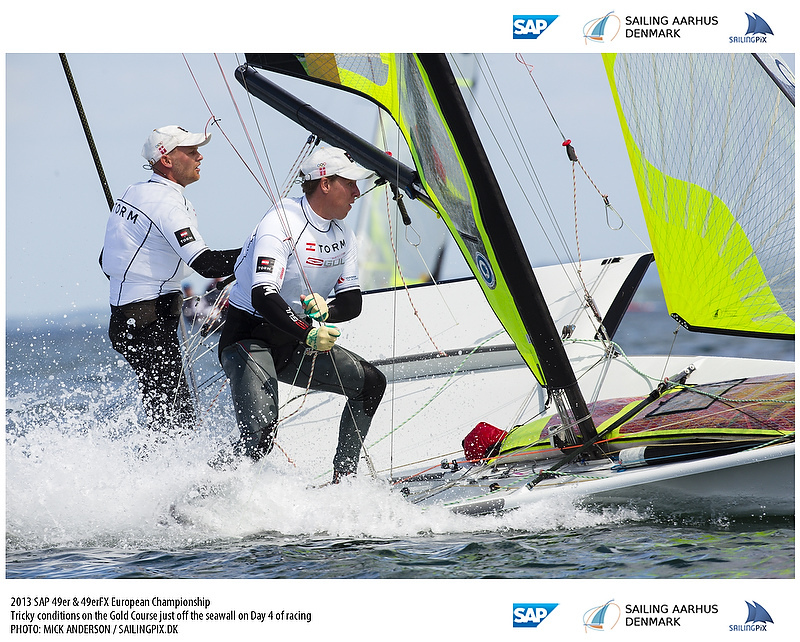 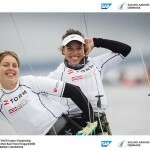 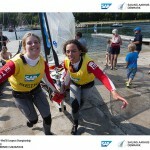 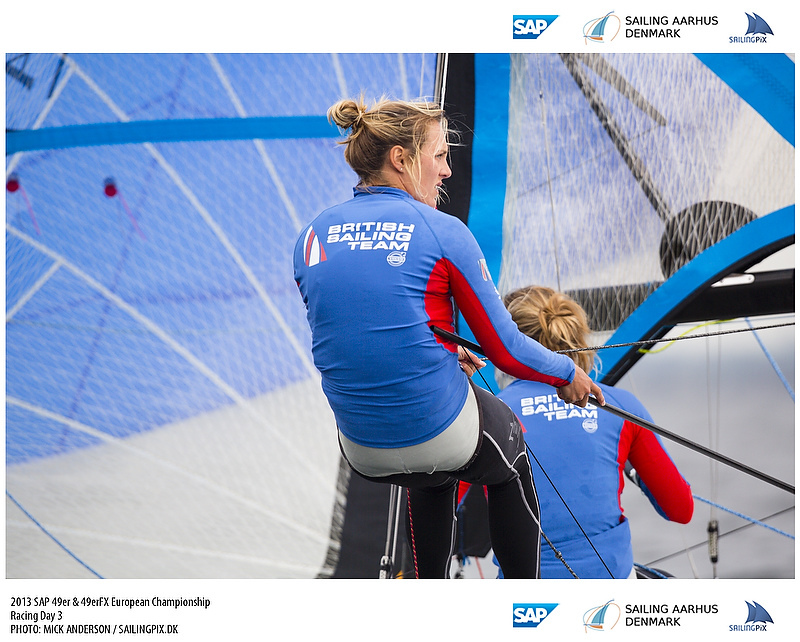 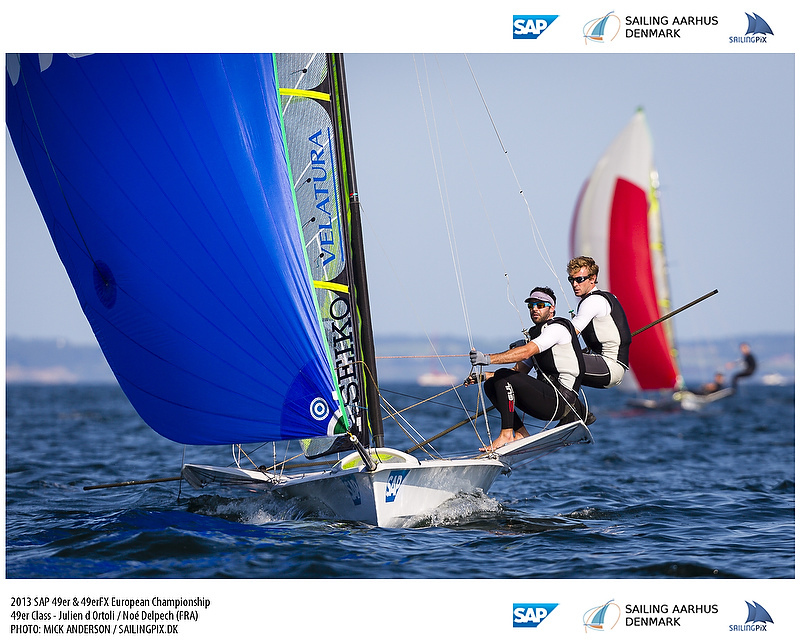 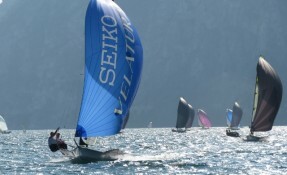 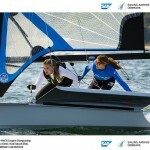 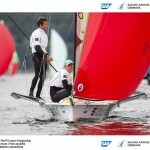 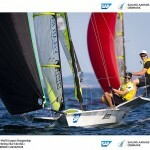 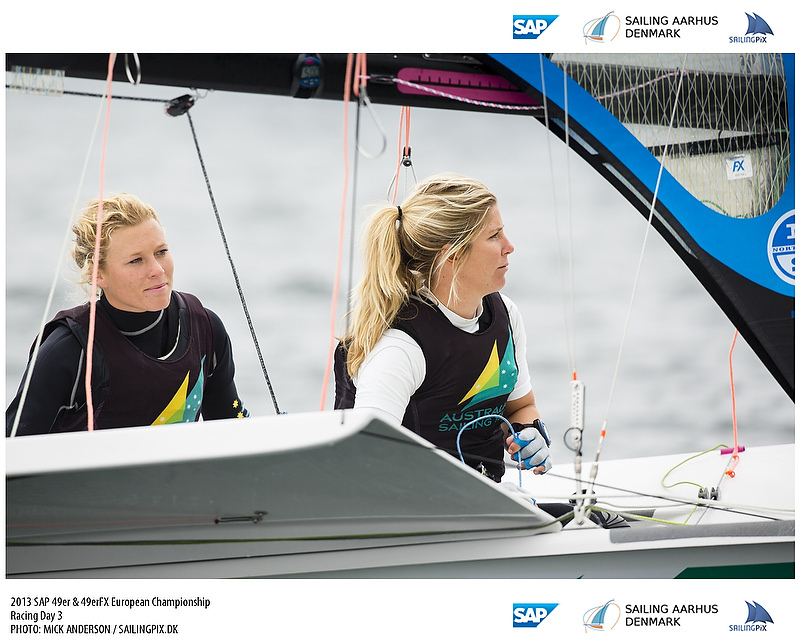 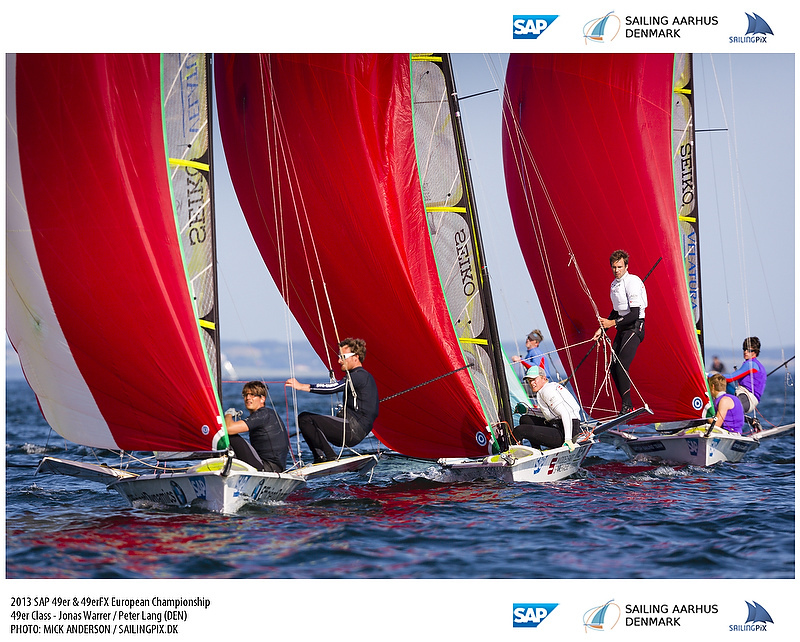 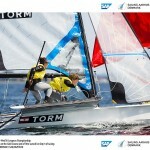 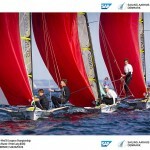 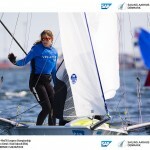 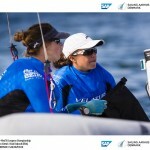 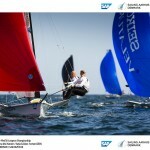 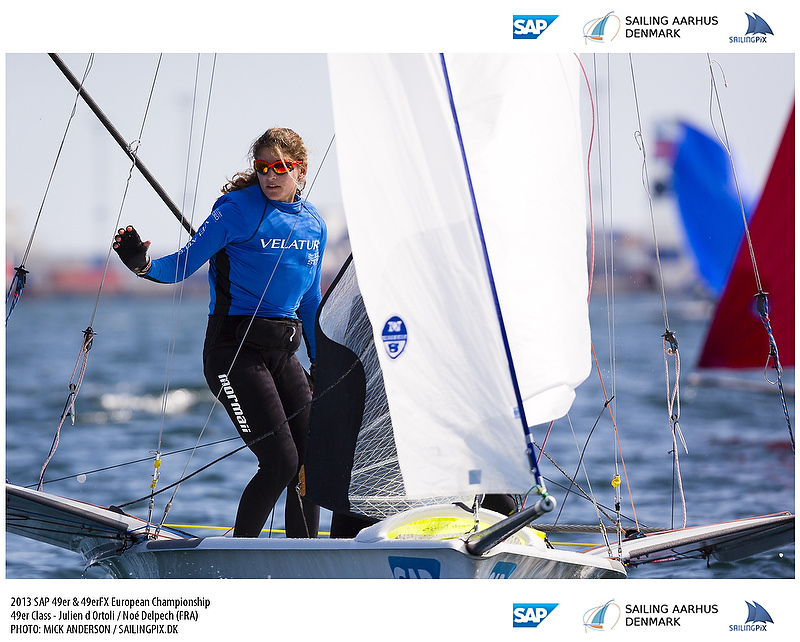 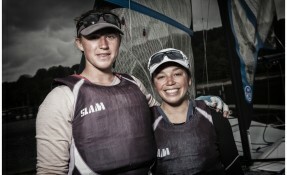 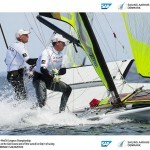 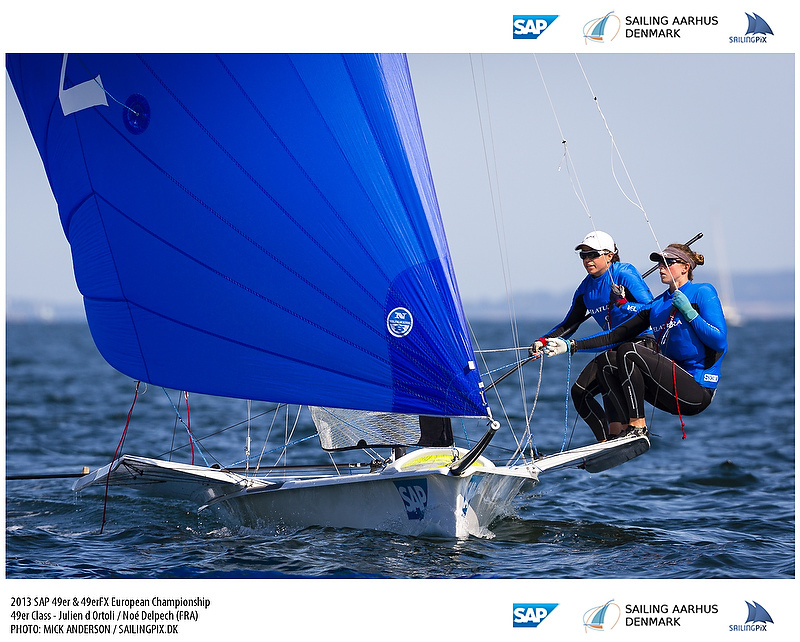 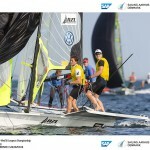 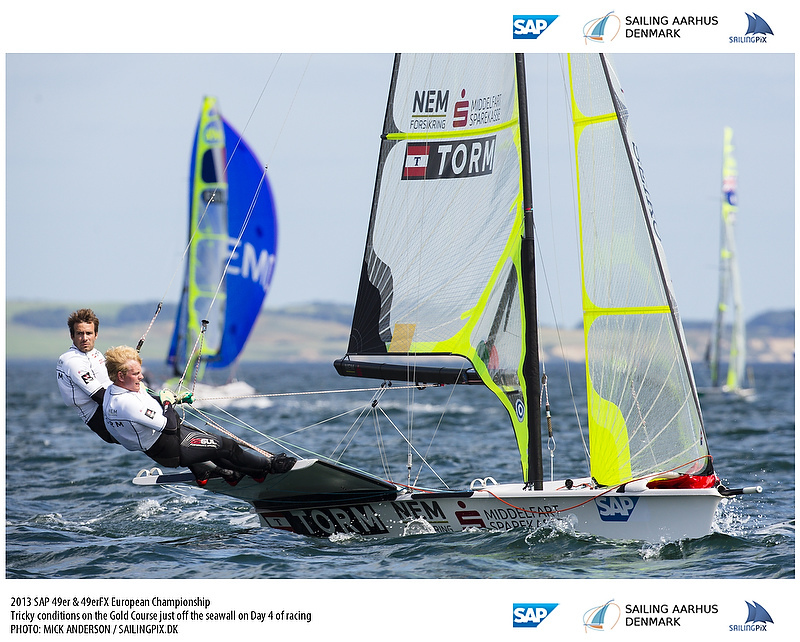 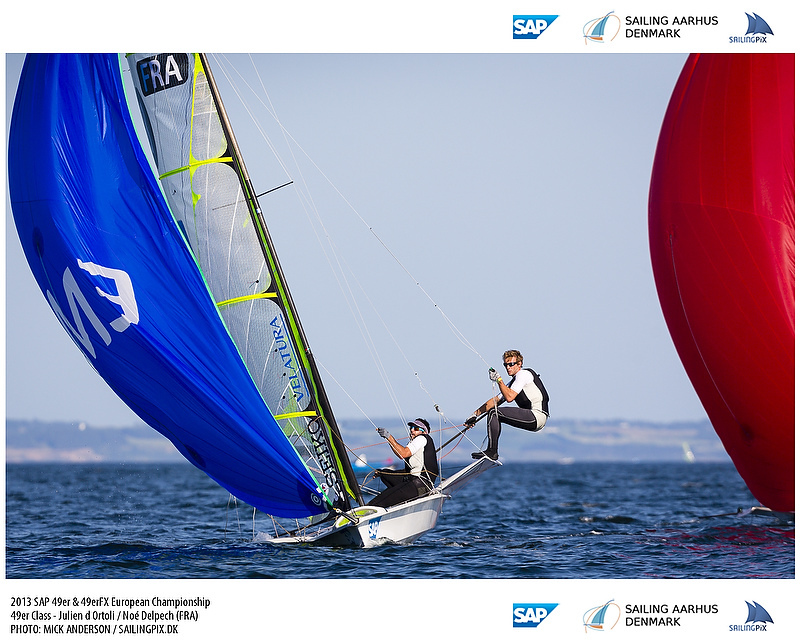 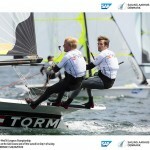 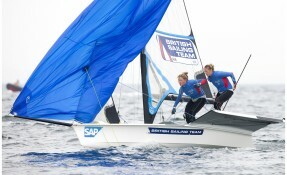 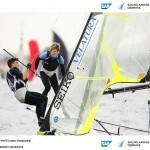 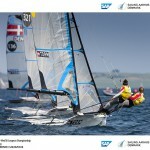 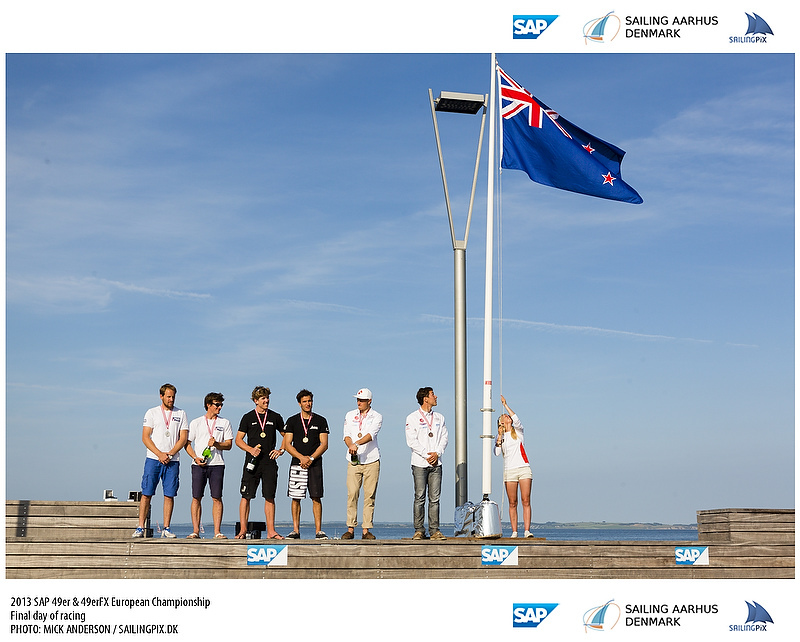 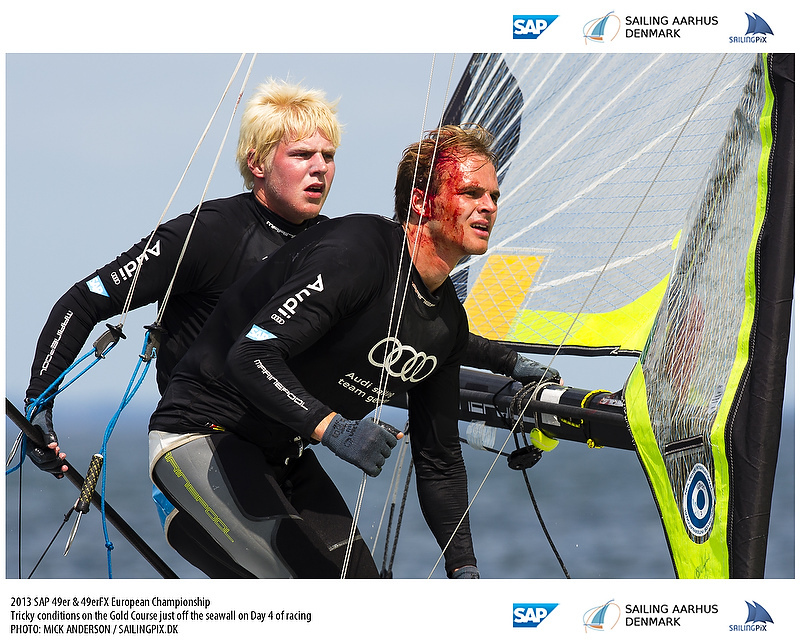 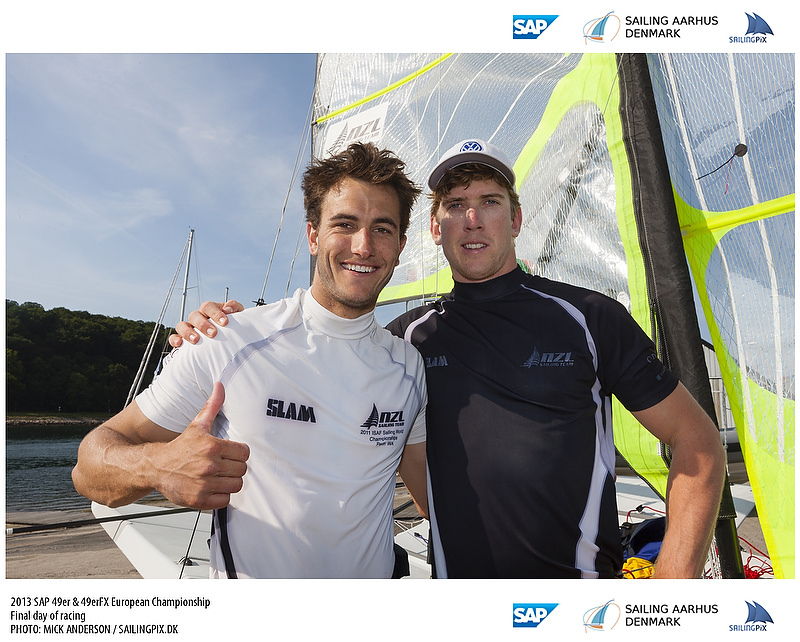 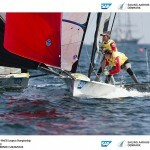 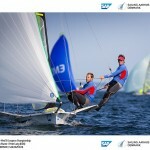 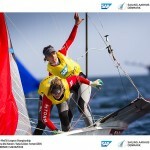 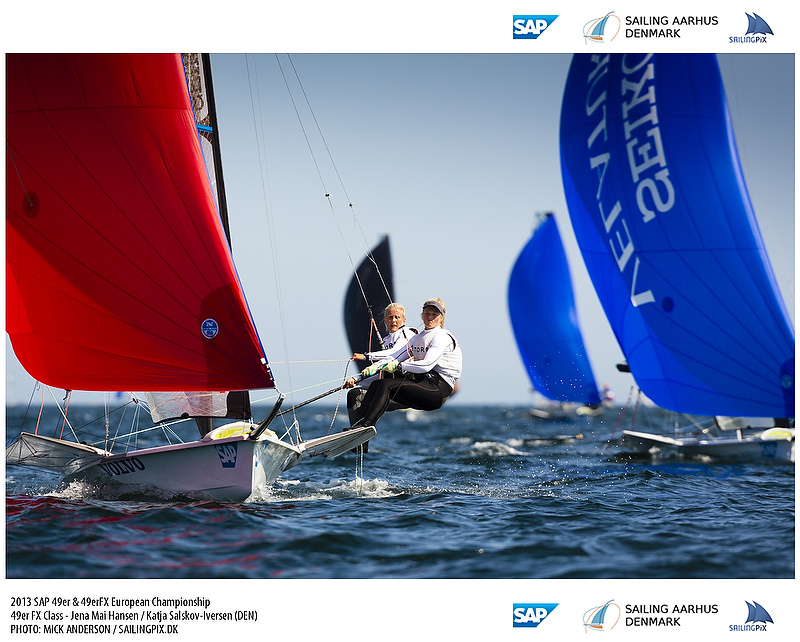 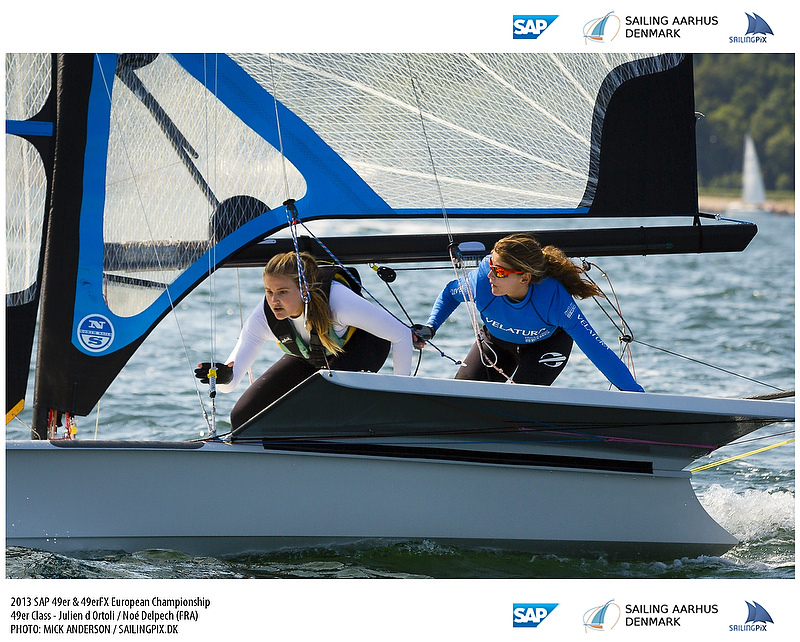 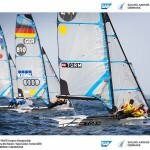 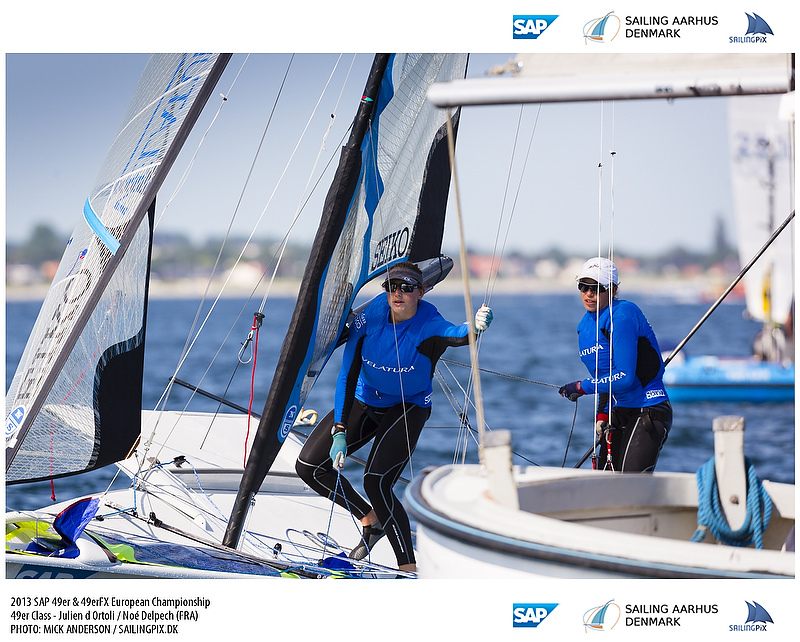 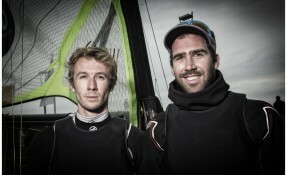 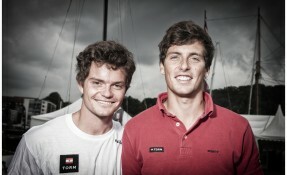 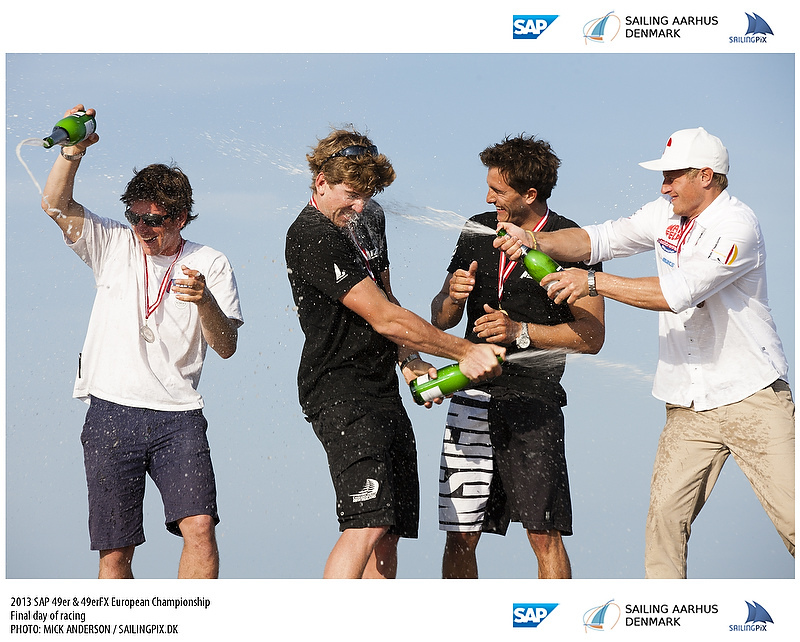 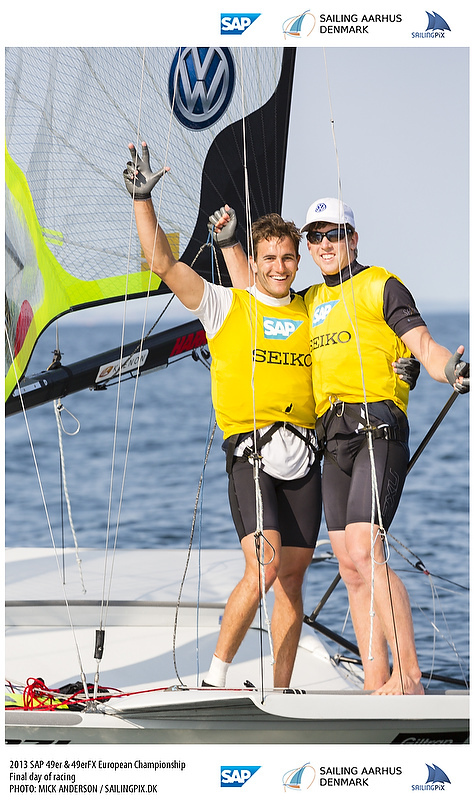 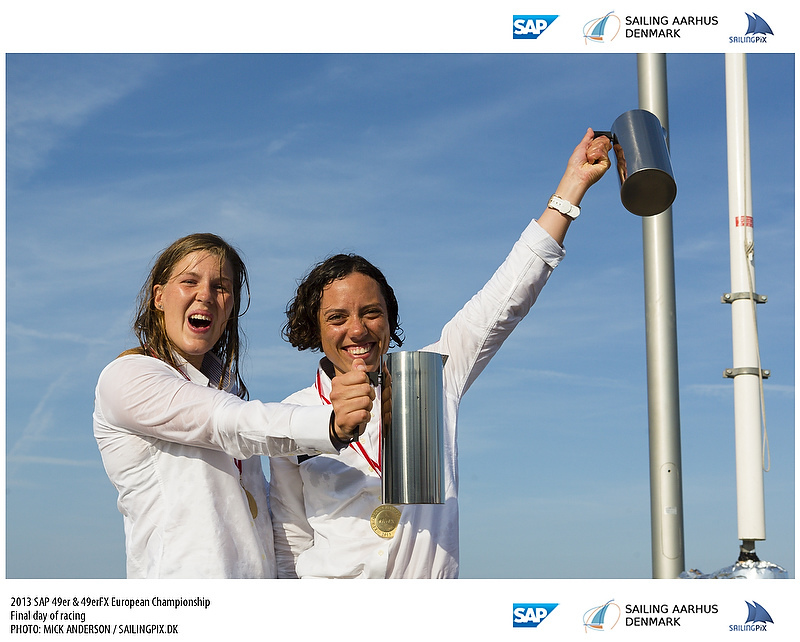 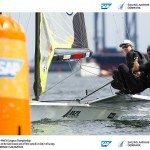 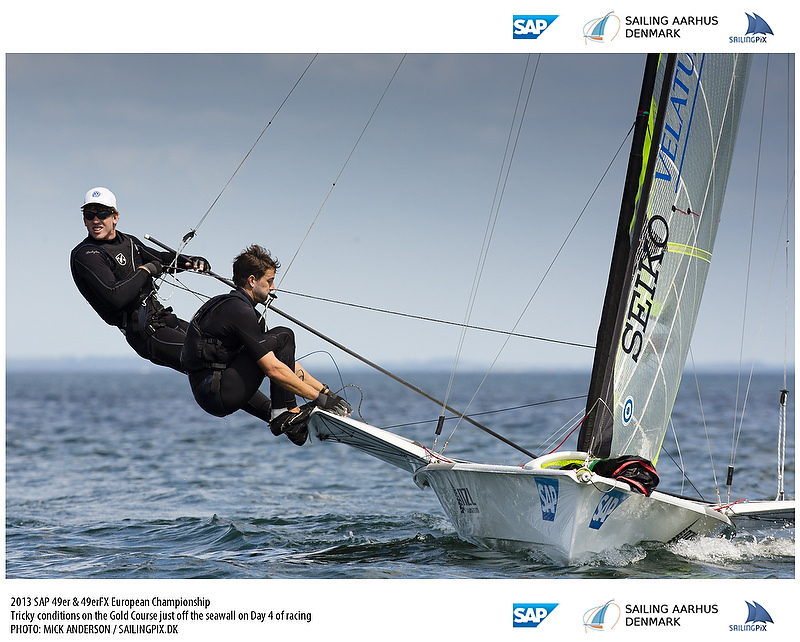 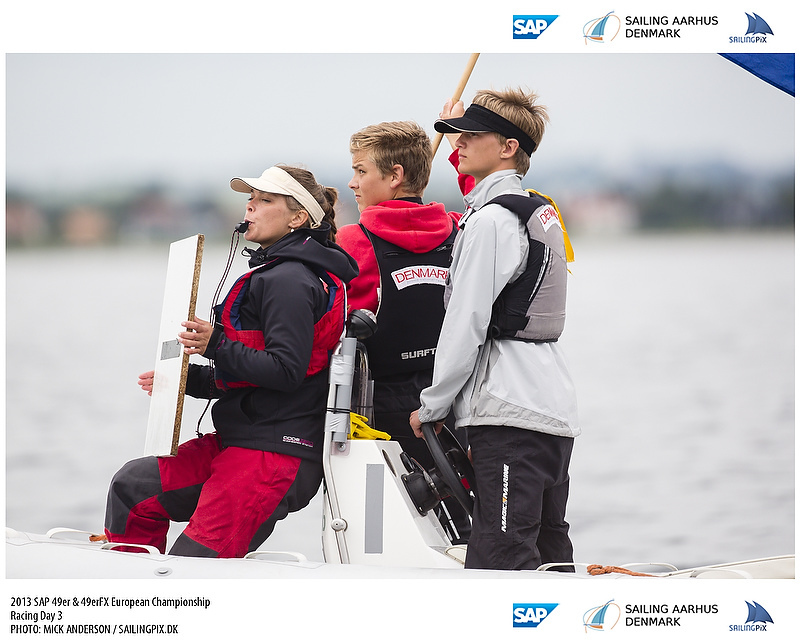 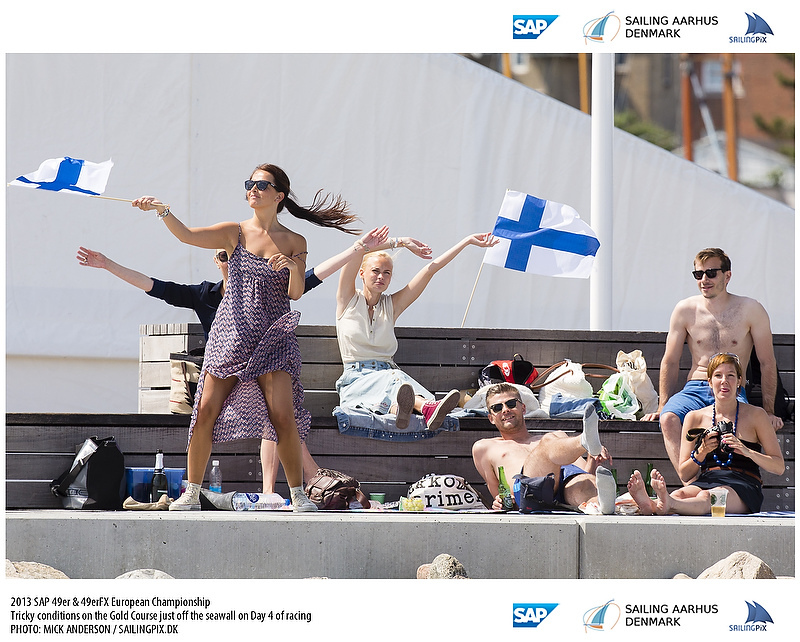 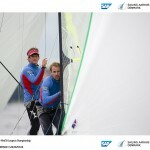 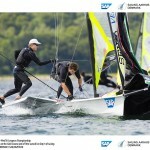 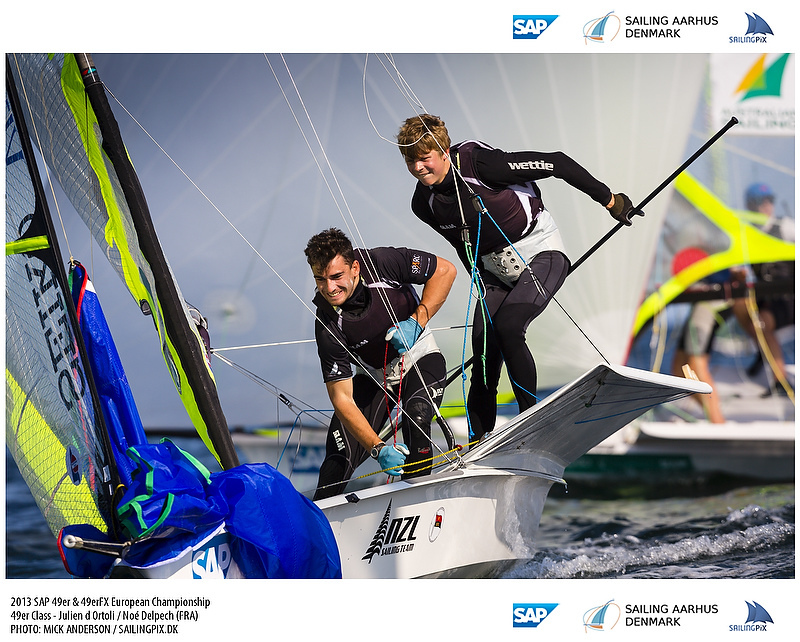 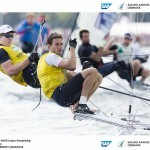 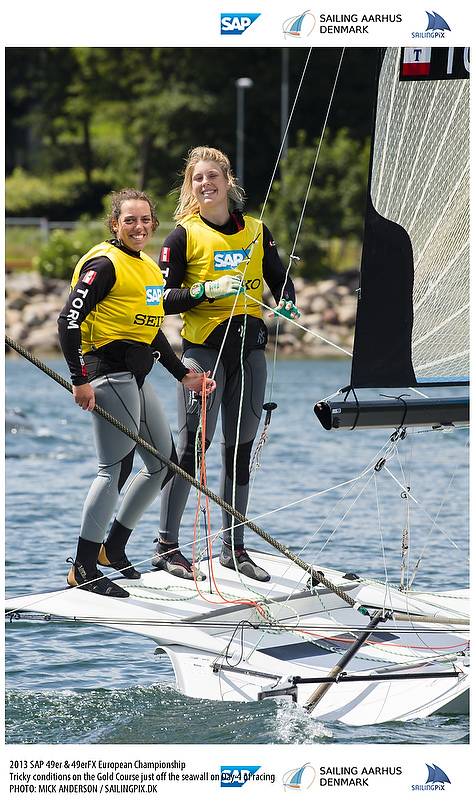 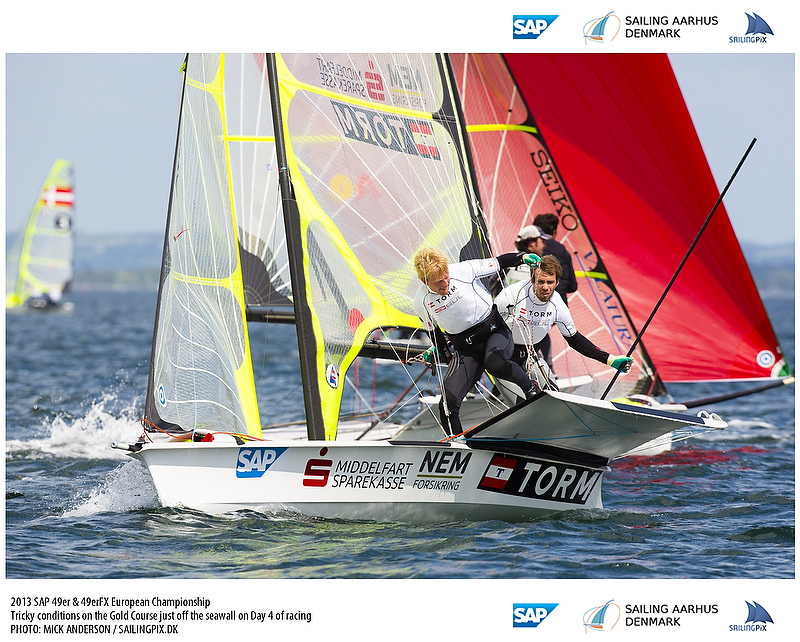 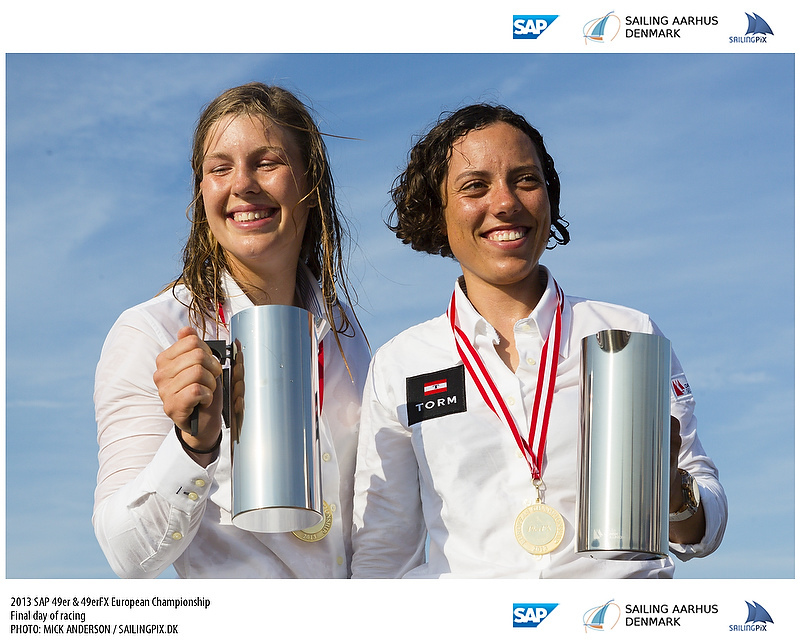 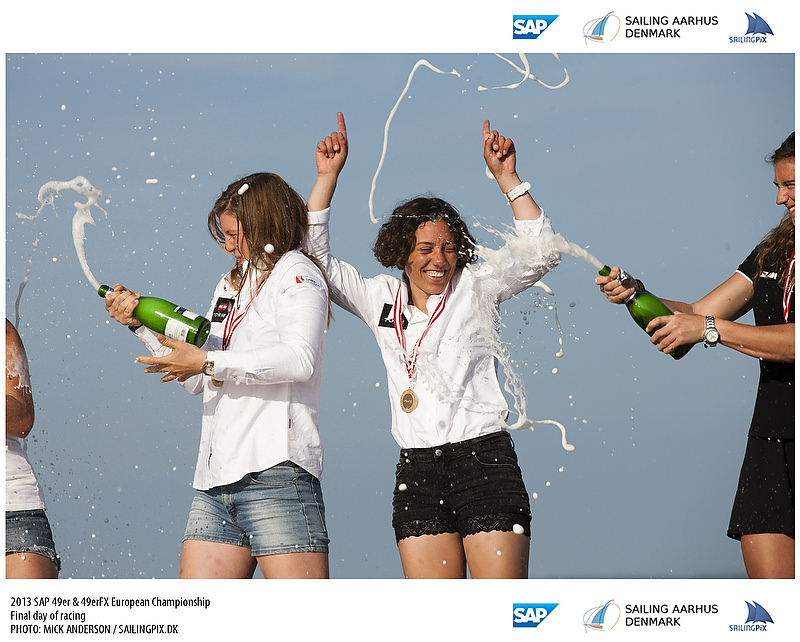 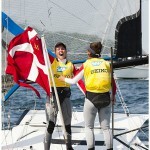 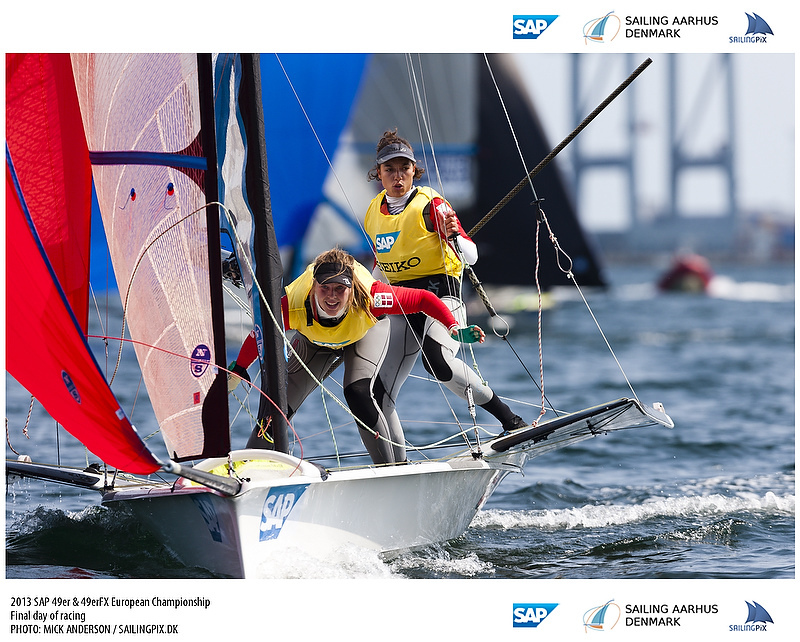 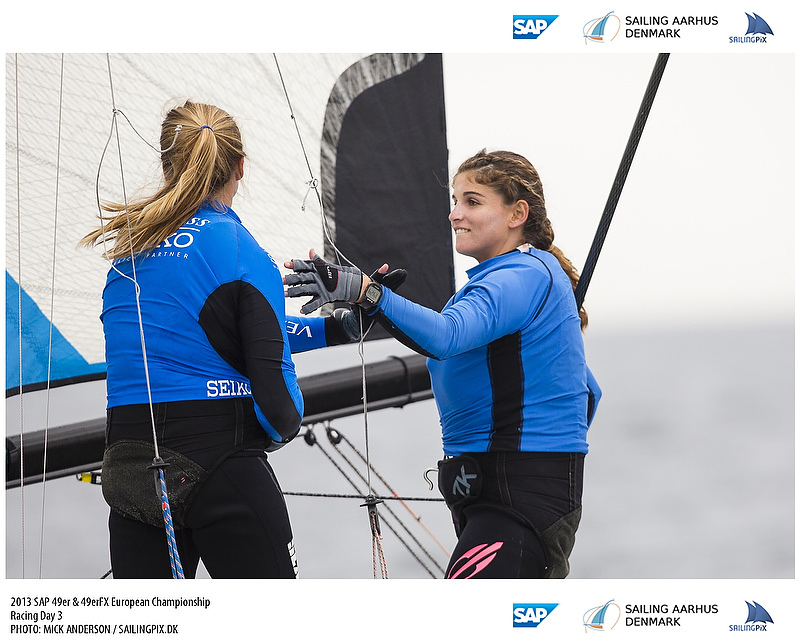 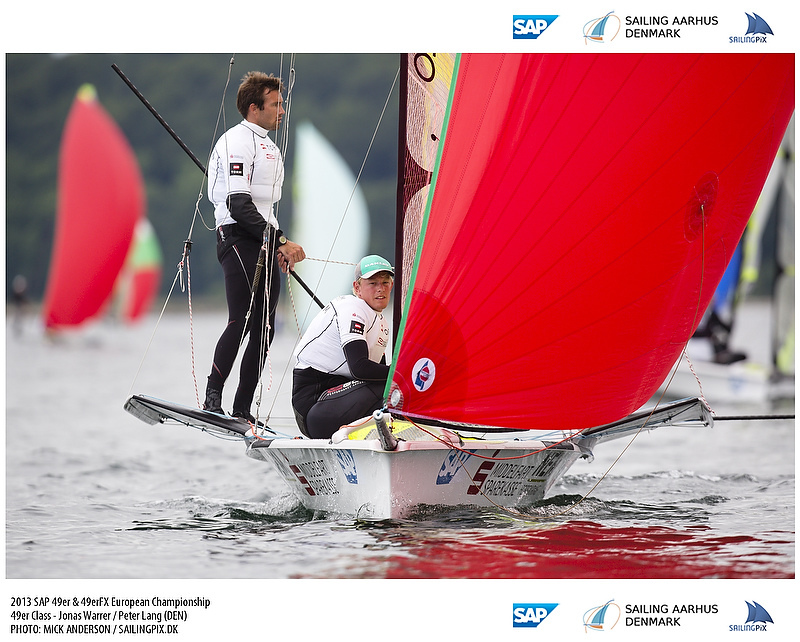 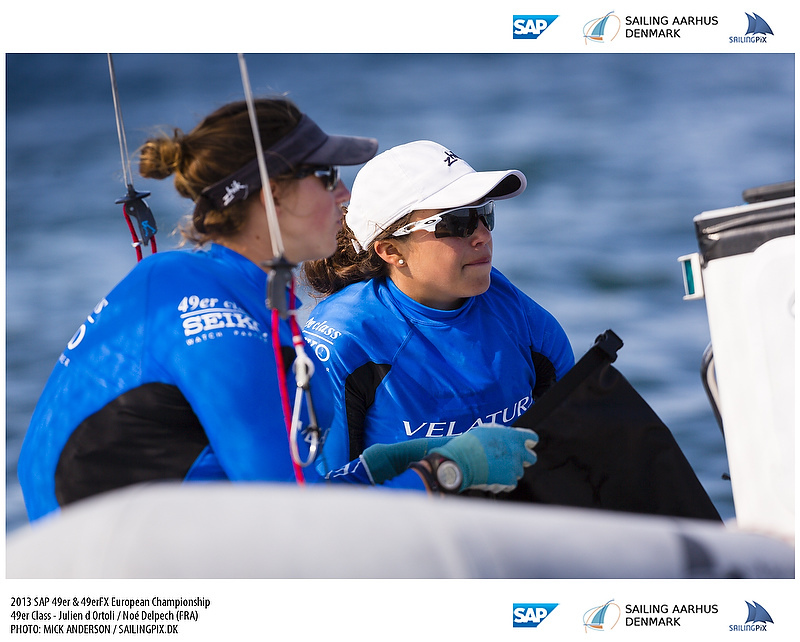 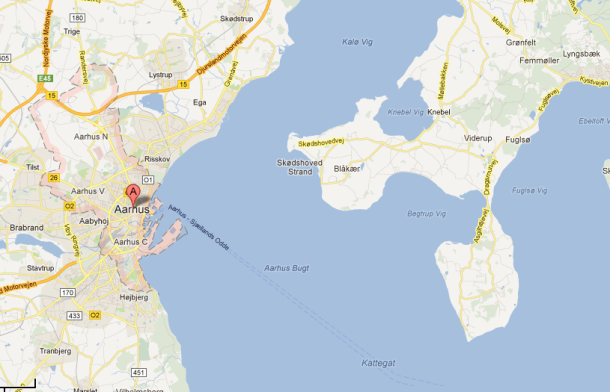 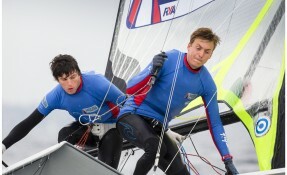 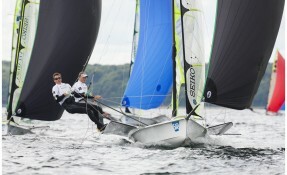 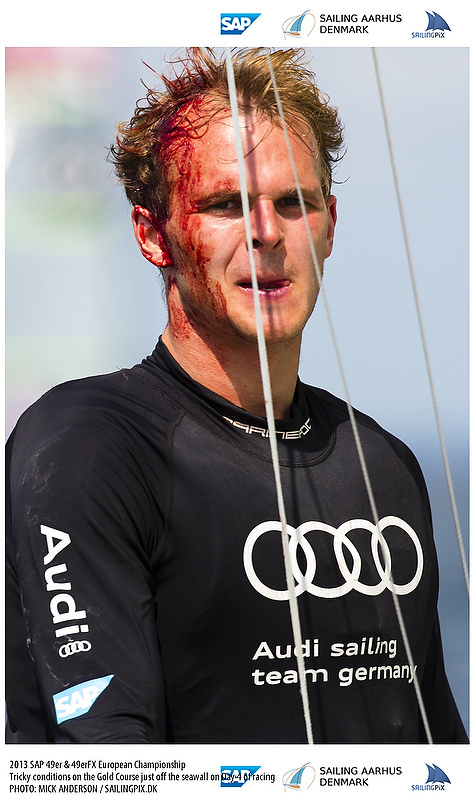 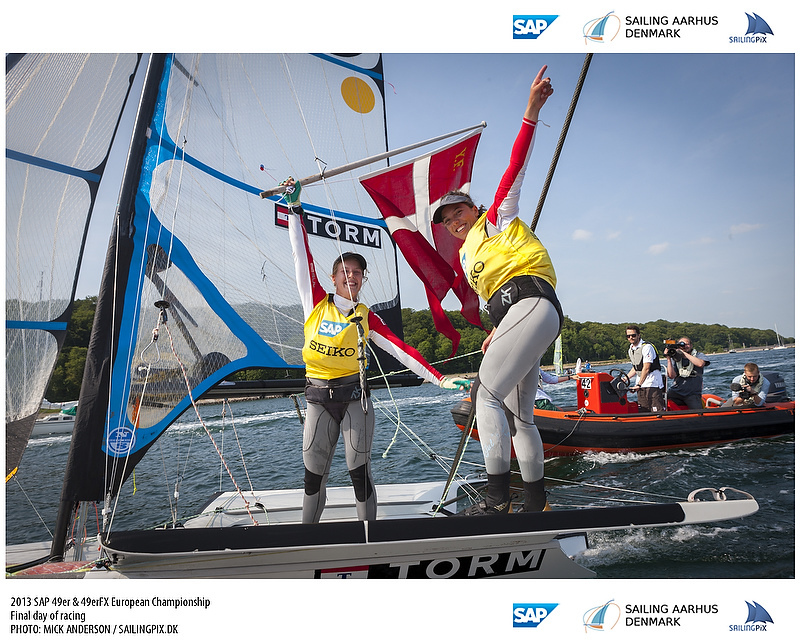 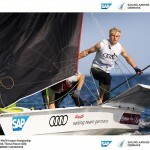 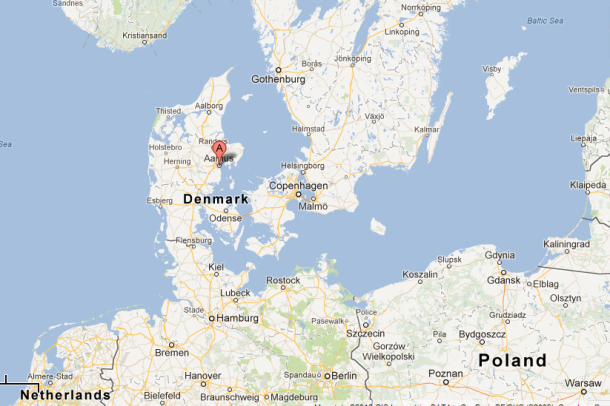 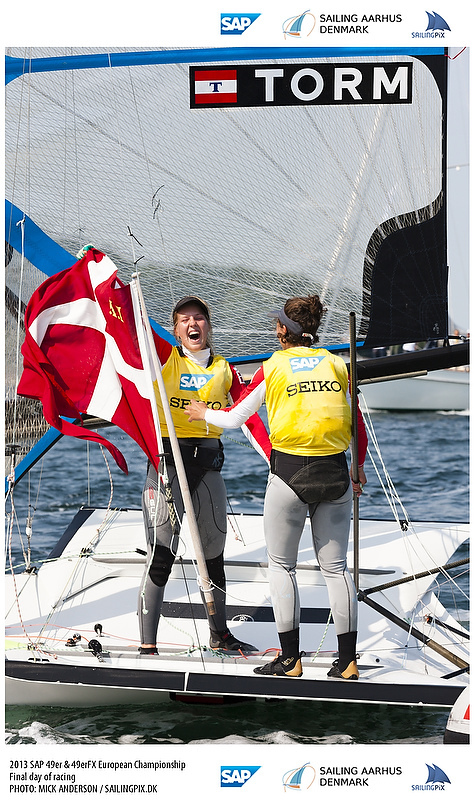 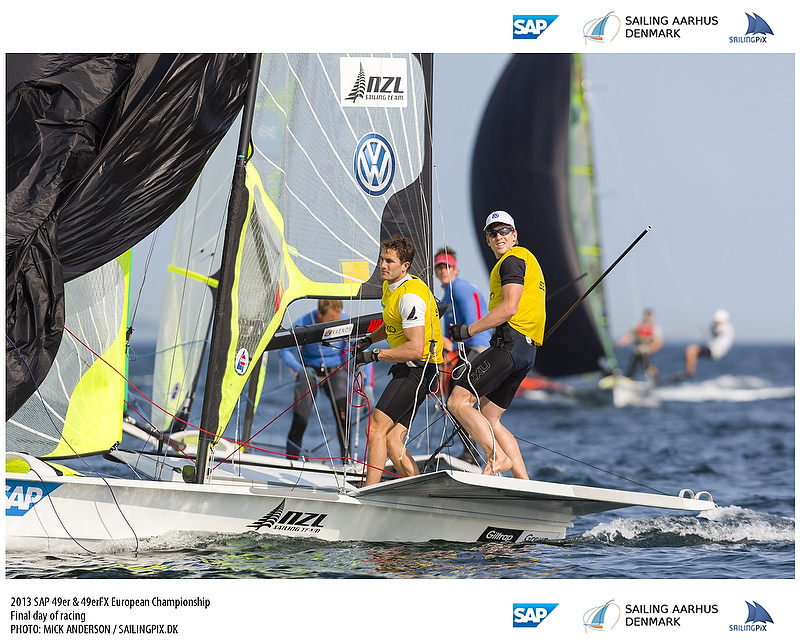 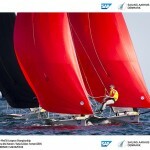 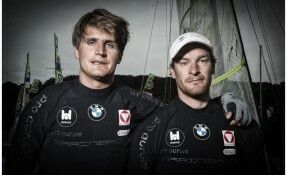 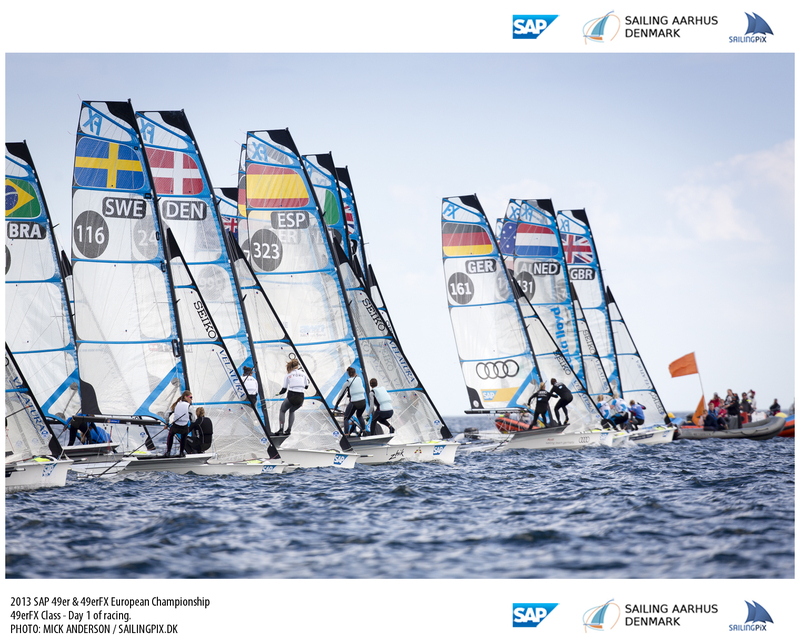 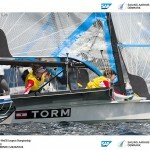 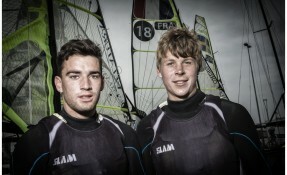 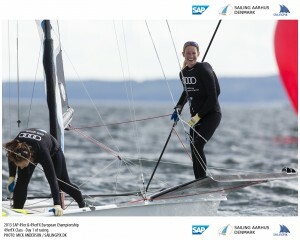 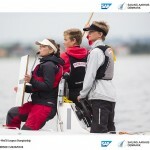 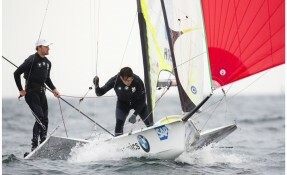 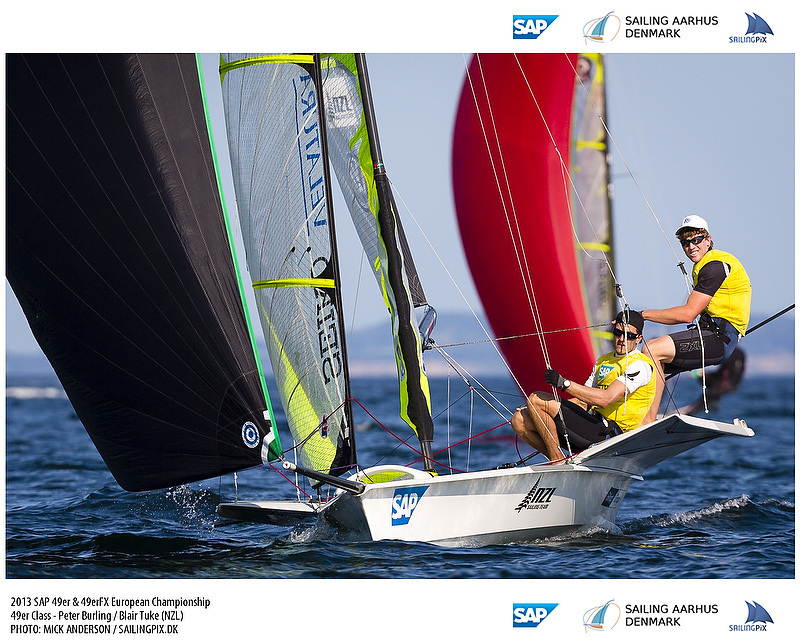 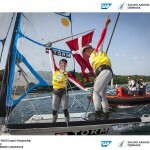 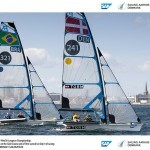 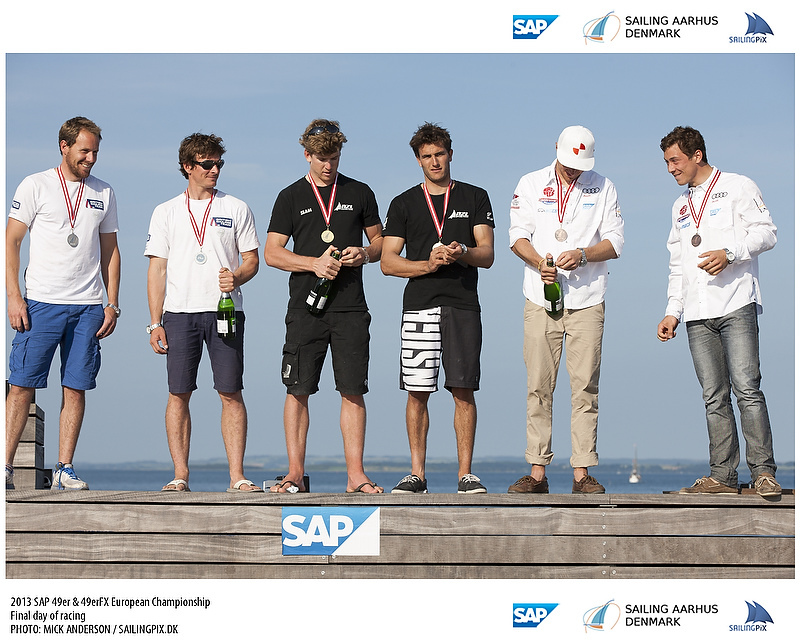 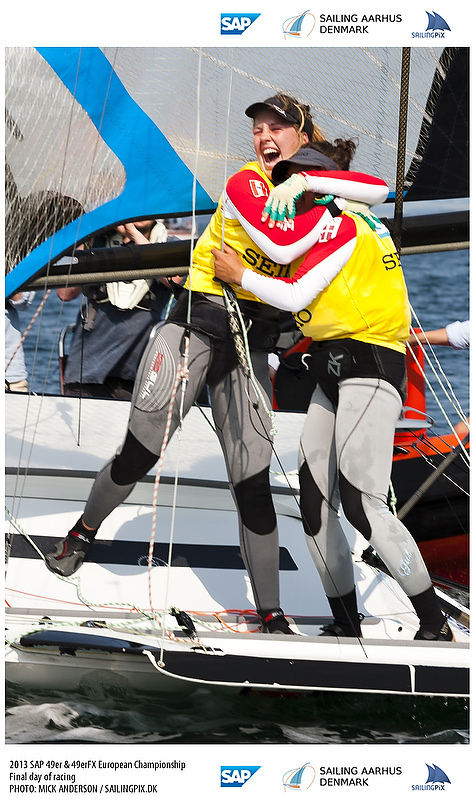 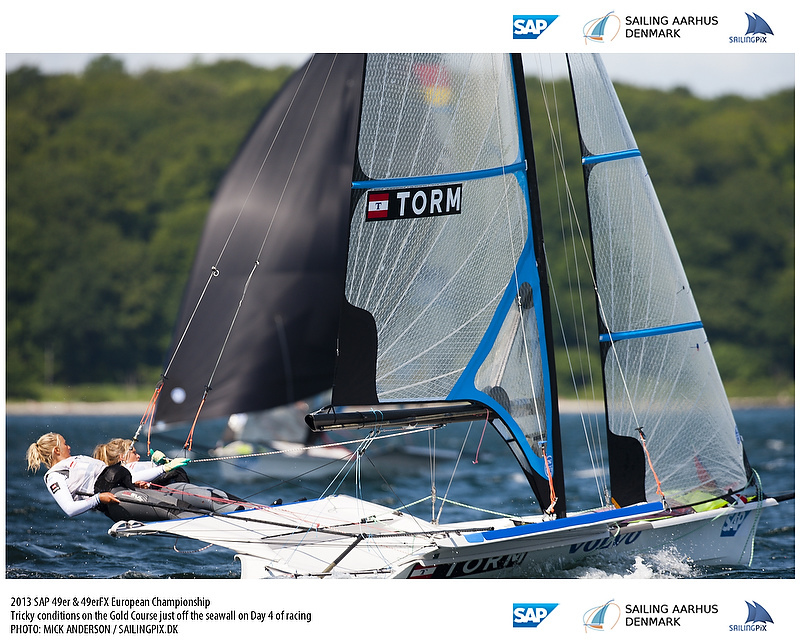 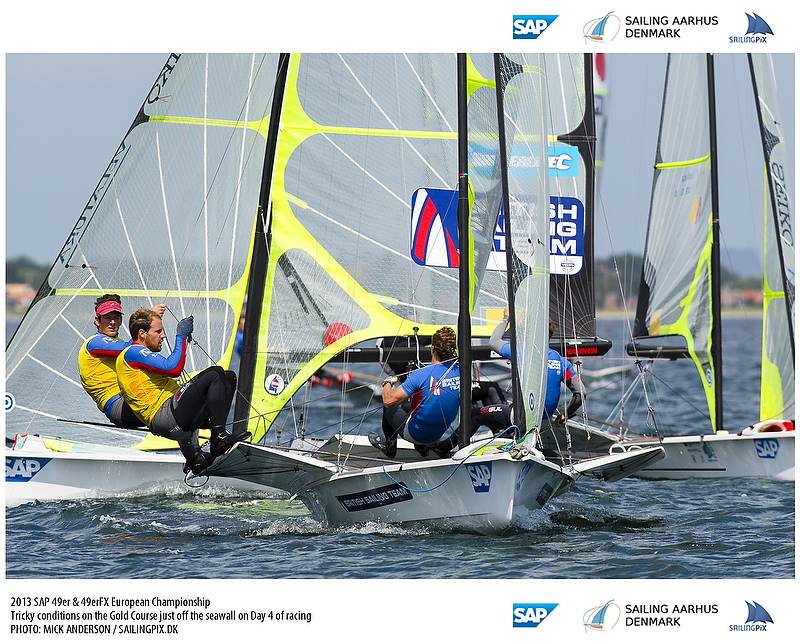 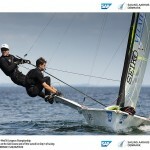 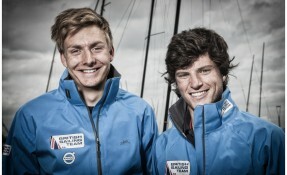 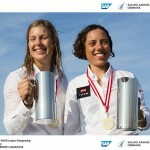 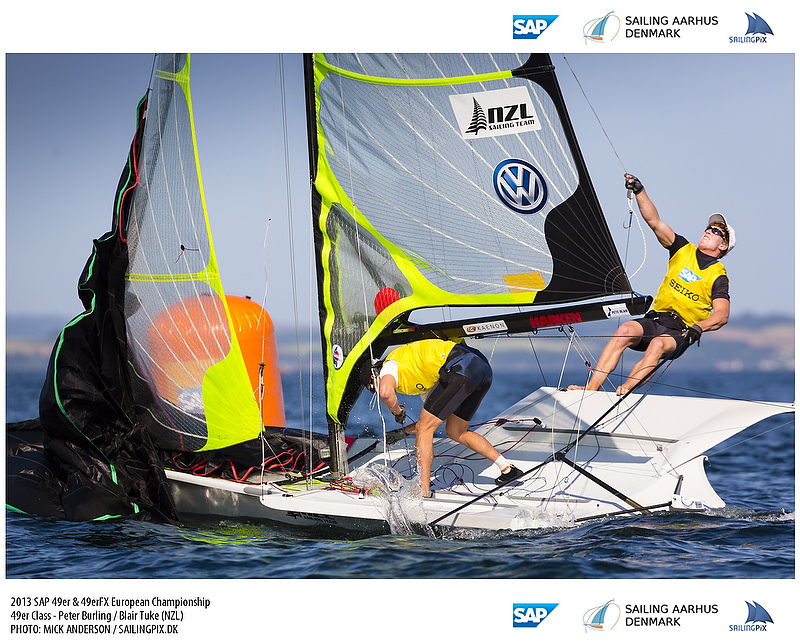 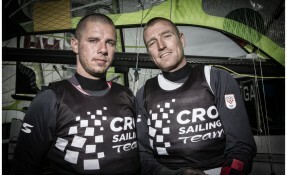 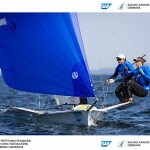 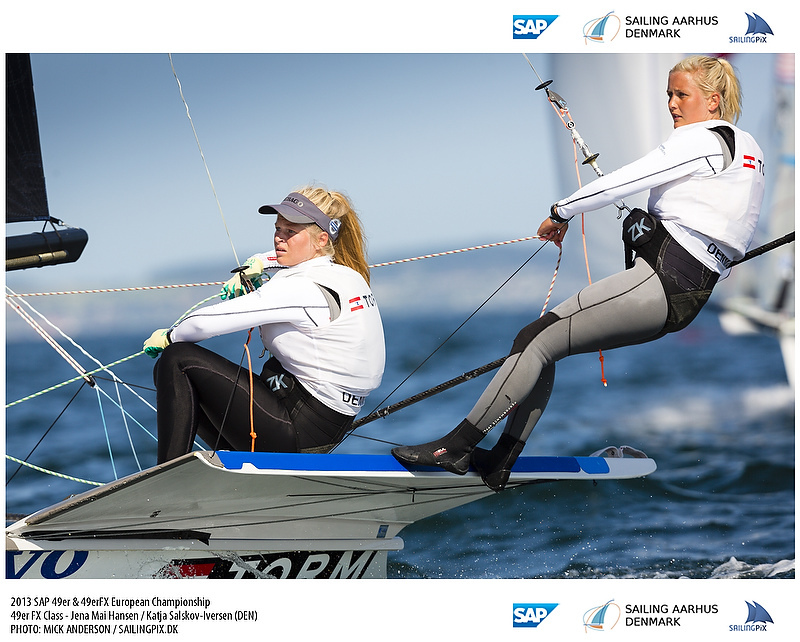 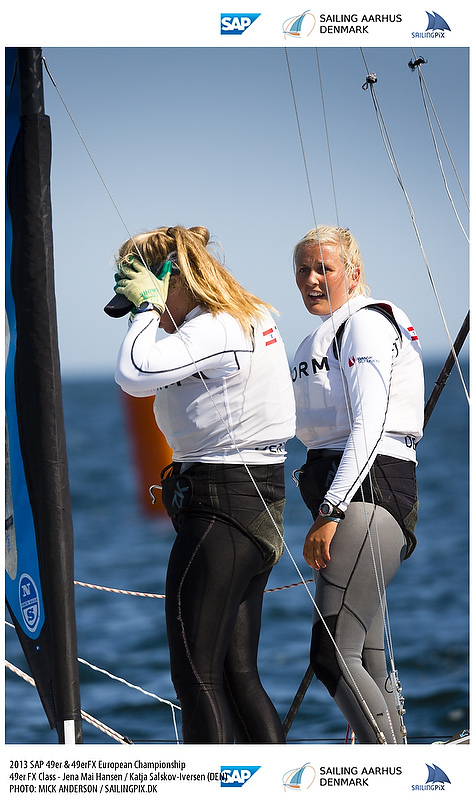 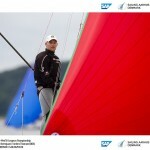 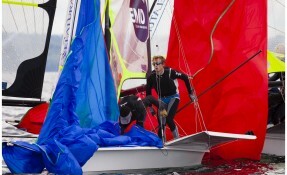 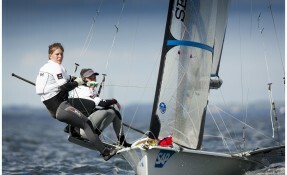 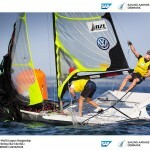 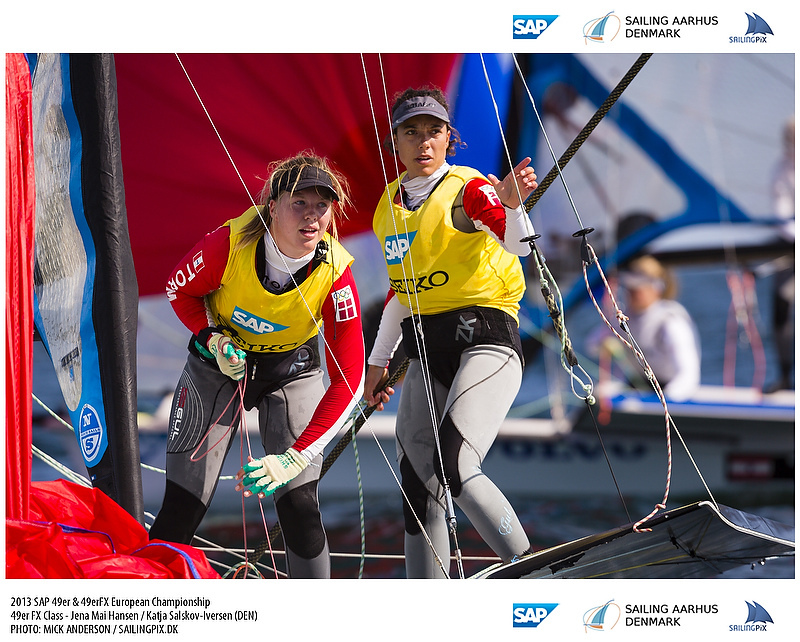 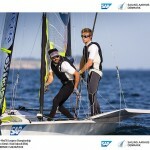 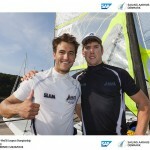 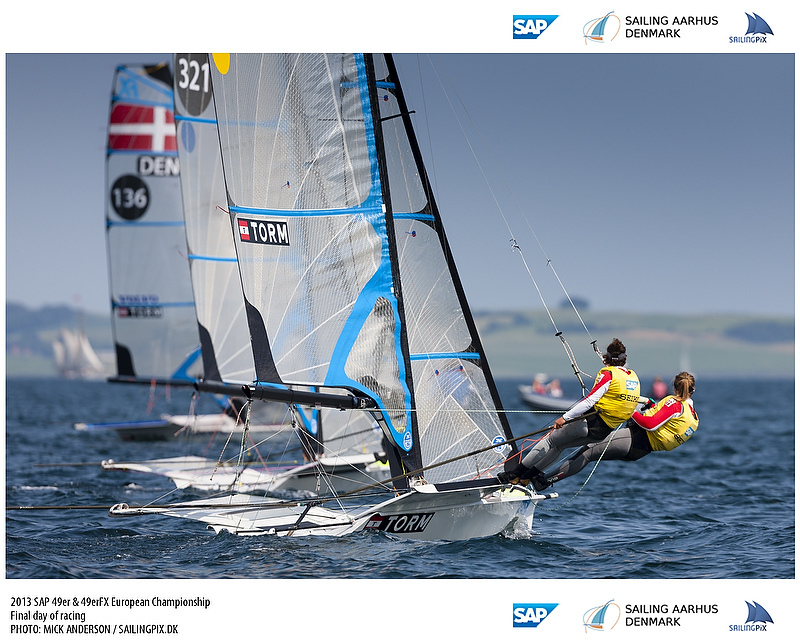 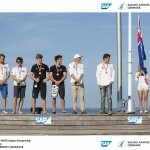 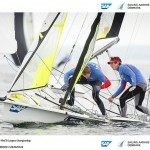 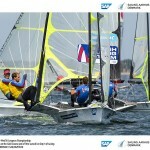 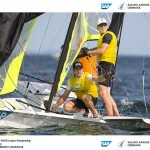 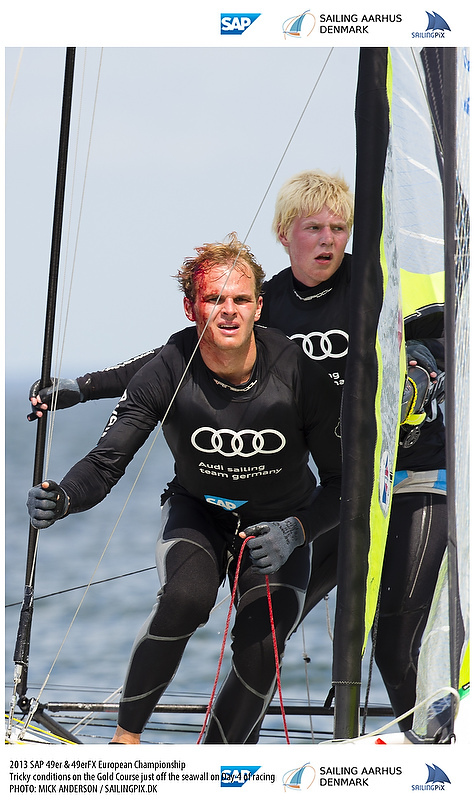 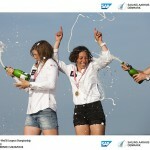 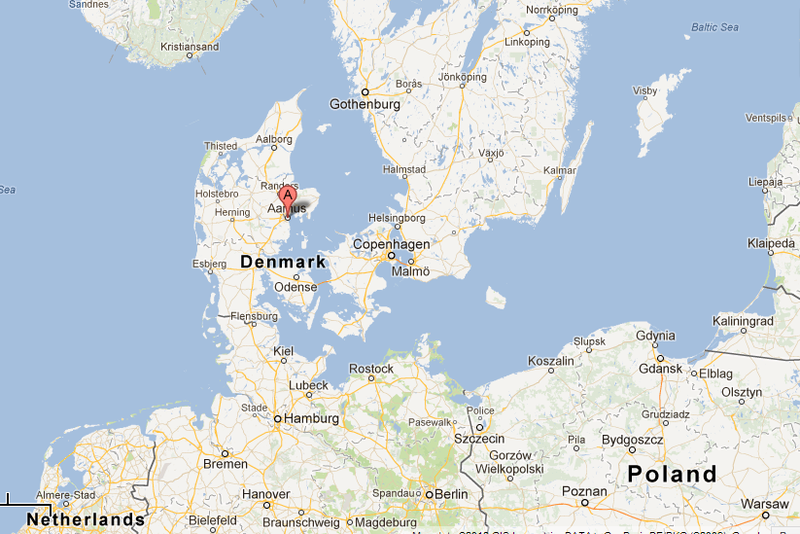 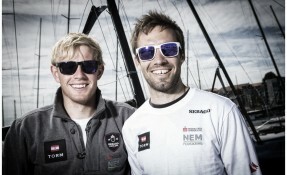 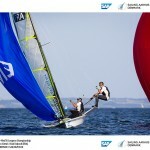 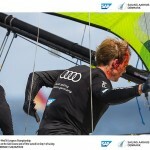 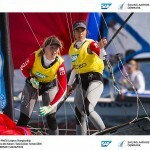 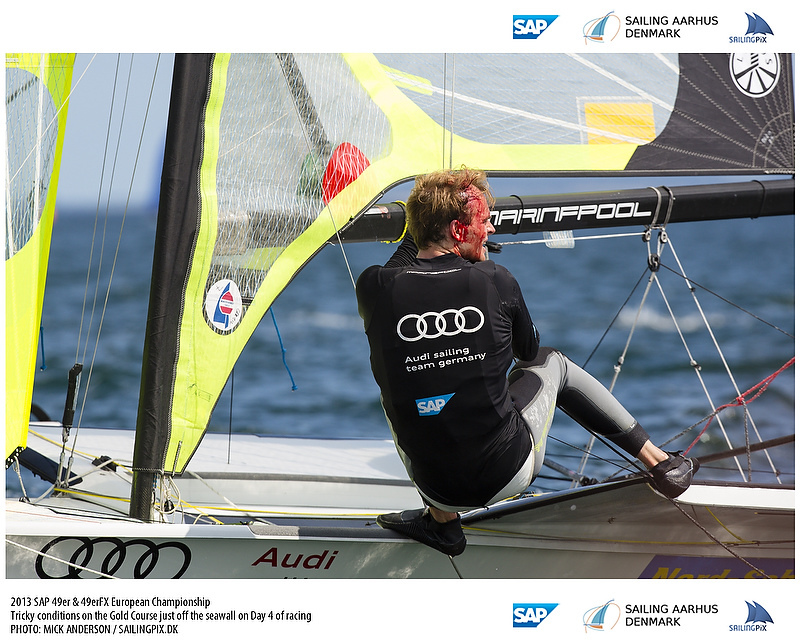 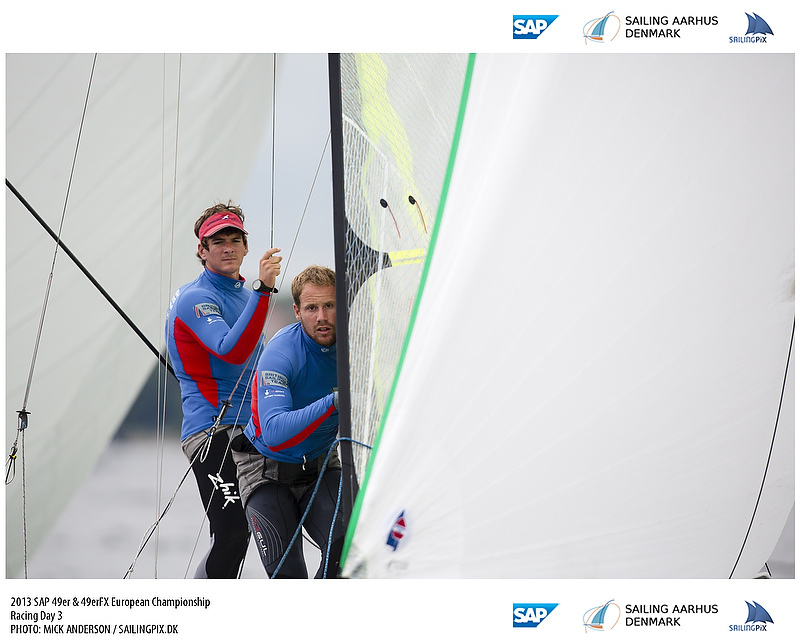 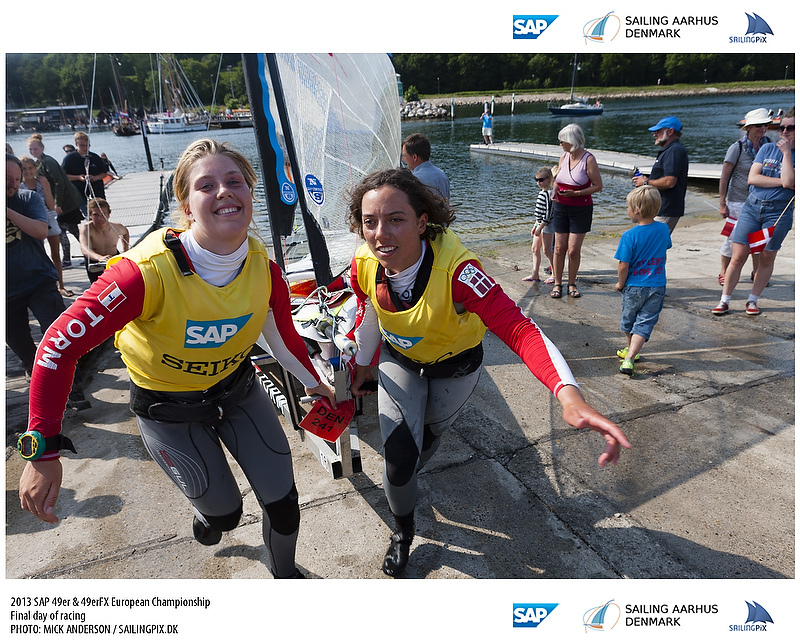 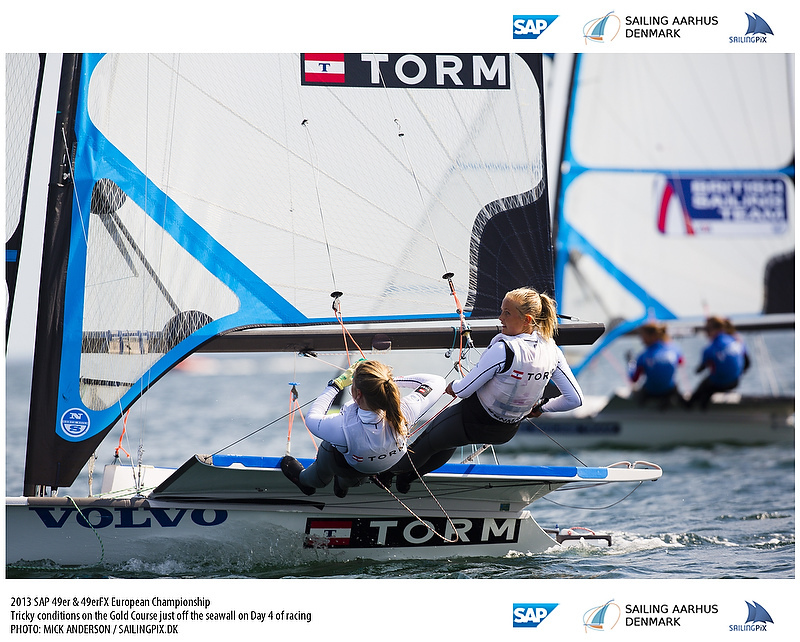 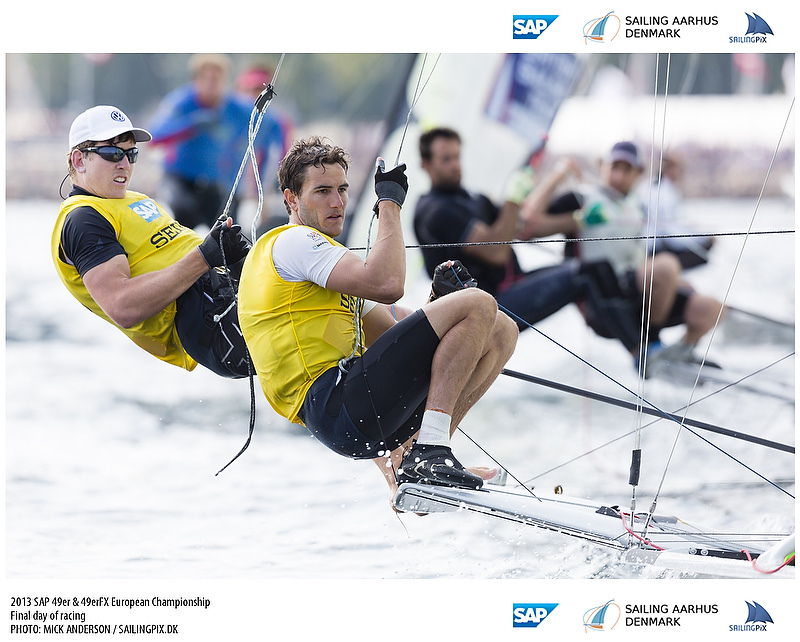 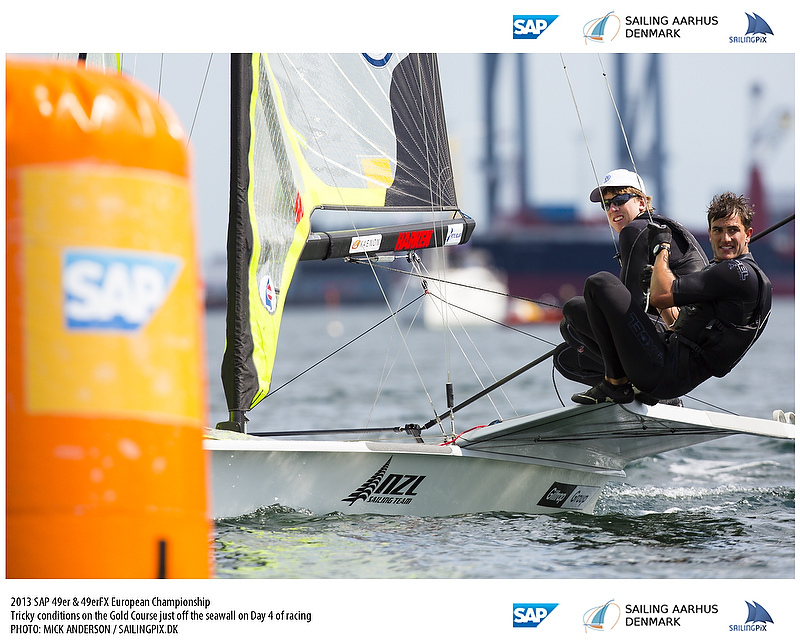 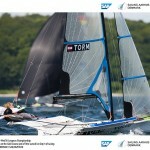 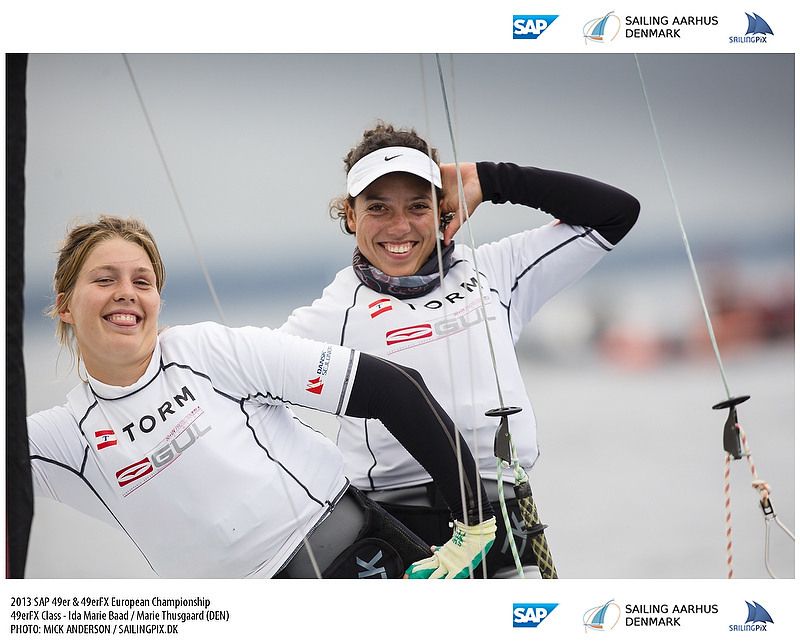 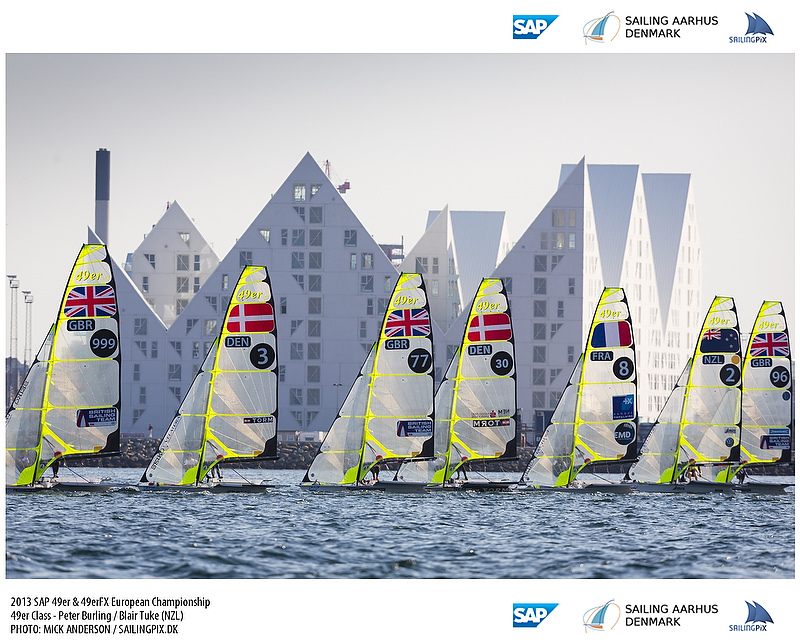 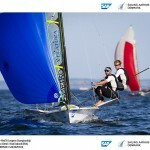 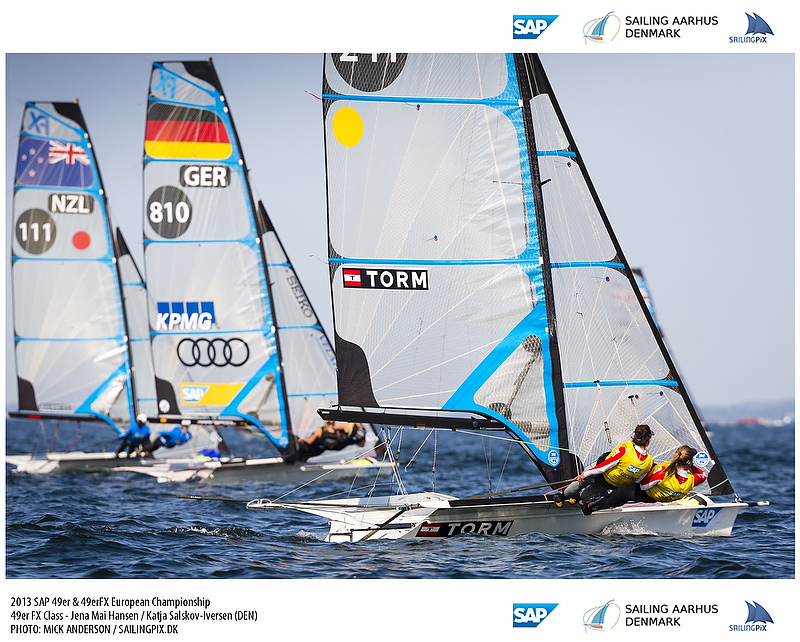 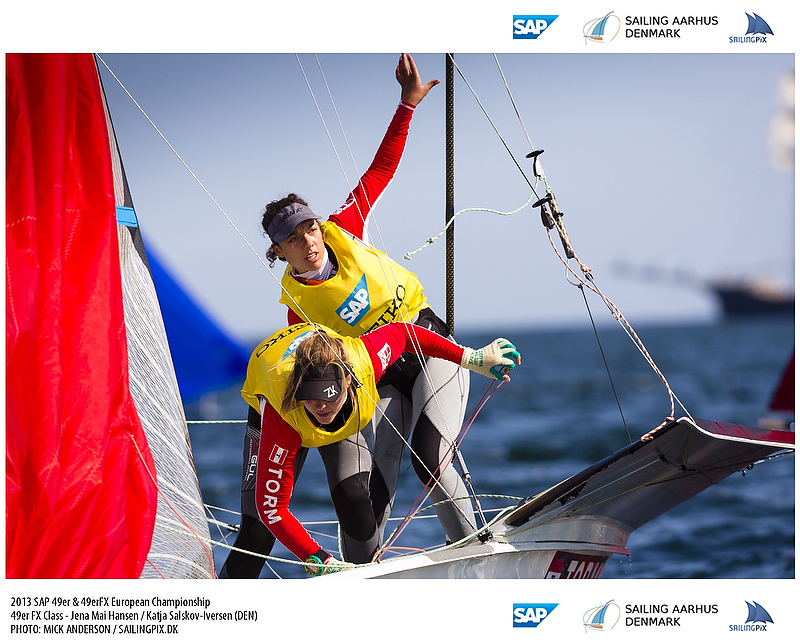 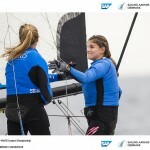 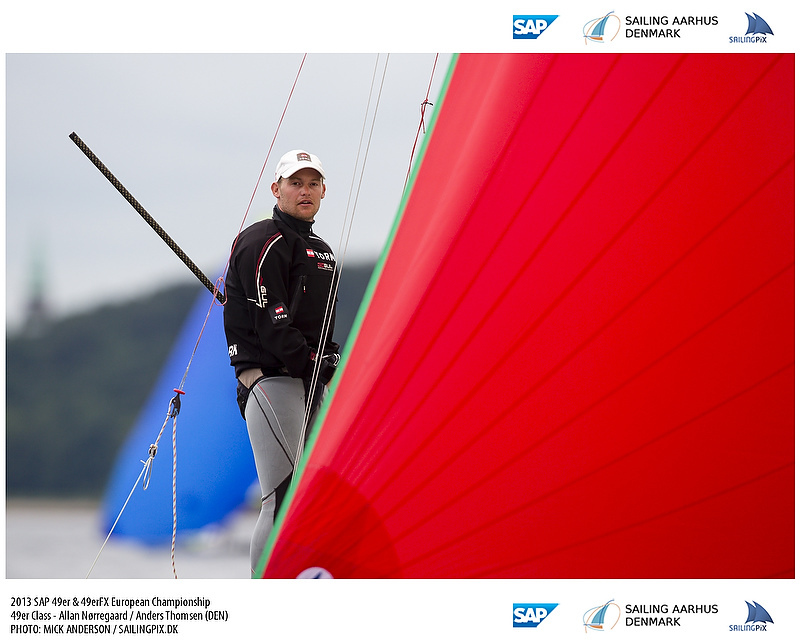 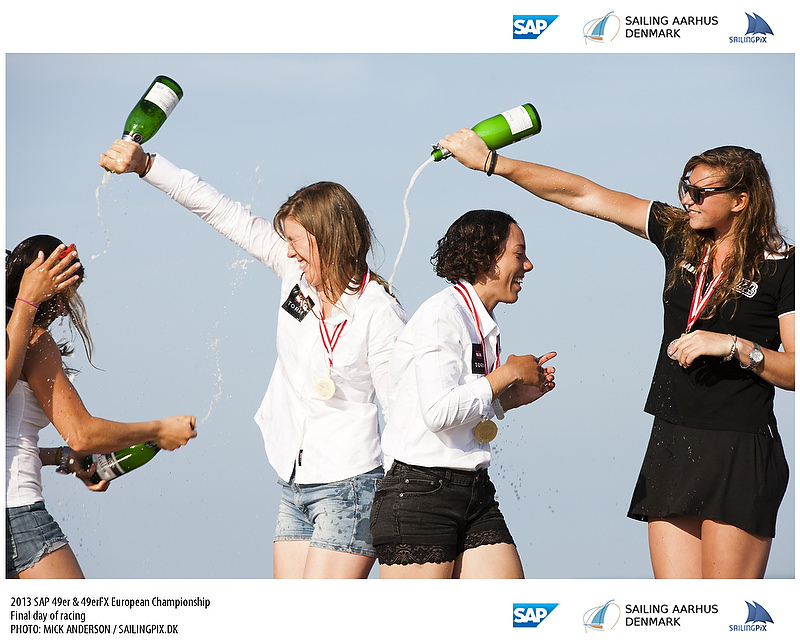 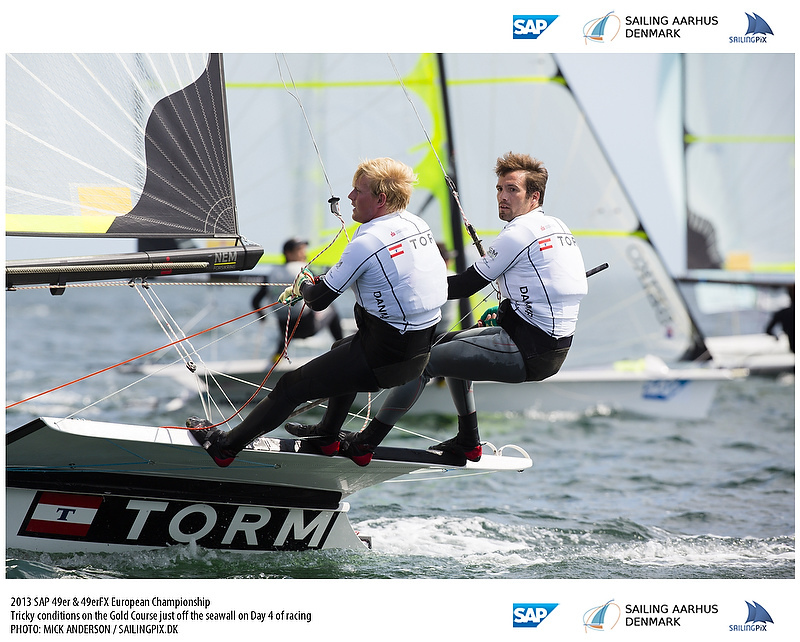 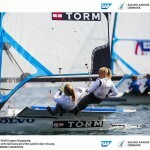 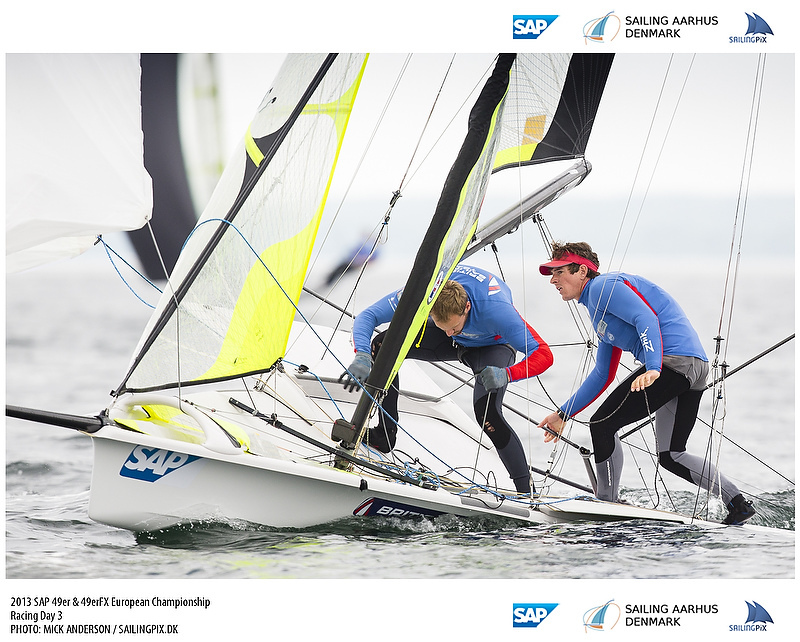 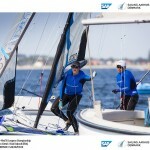 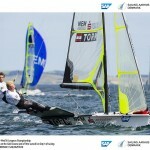 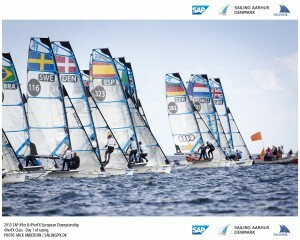 Day 1 of the SAP 49er & 49erFX European Championship started out looking like it would be a wonderful day of sailing. 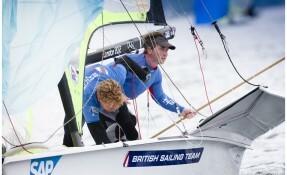 Then, right about the time of the first start a small squall rolled through leaving a vacuum in it’s wake that created chaotic winds for the sailors to manage. 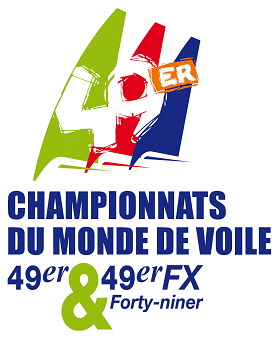 Today was the first day of championship racing for the 49erFX fleet and the teams were fired up to get out there and hit the water. 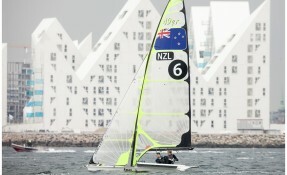 They were second start on the day, but ended up with the slightly better conditions. 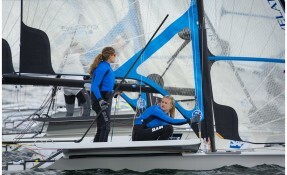 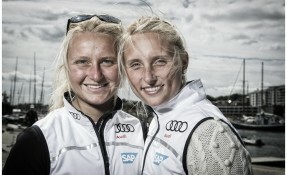 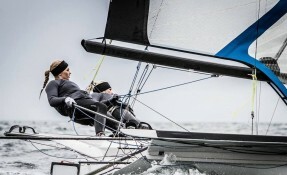 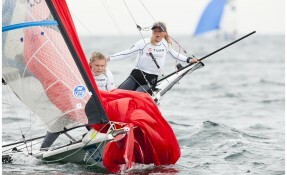 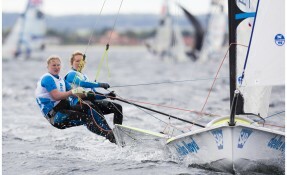 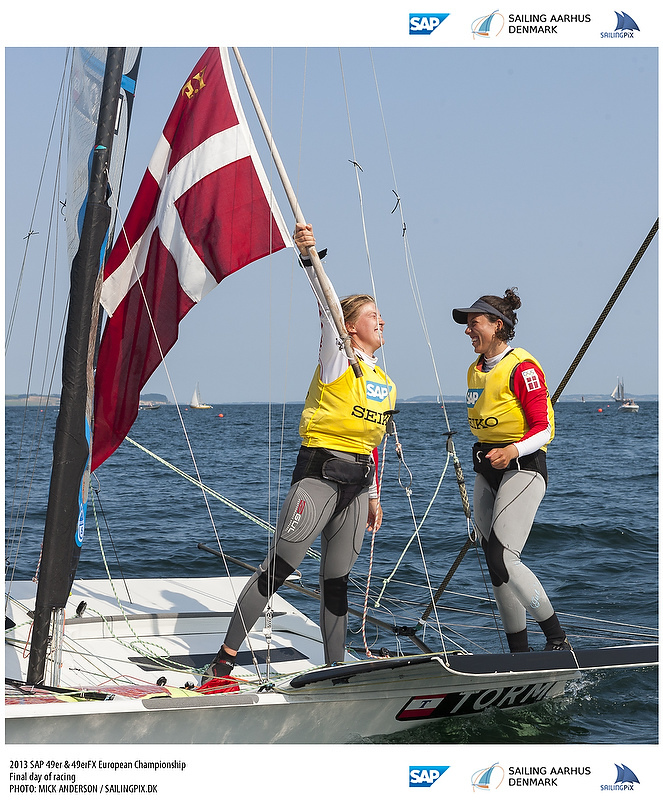 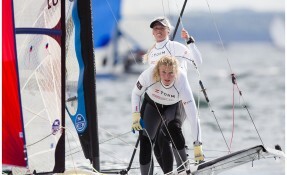 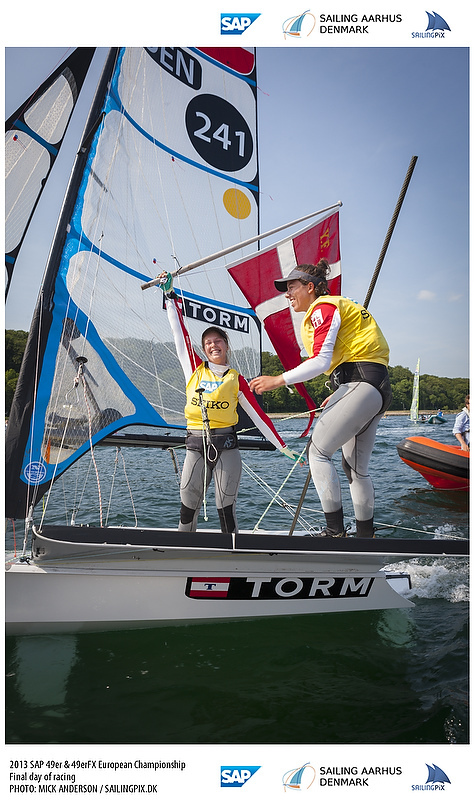 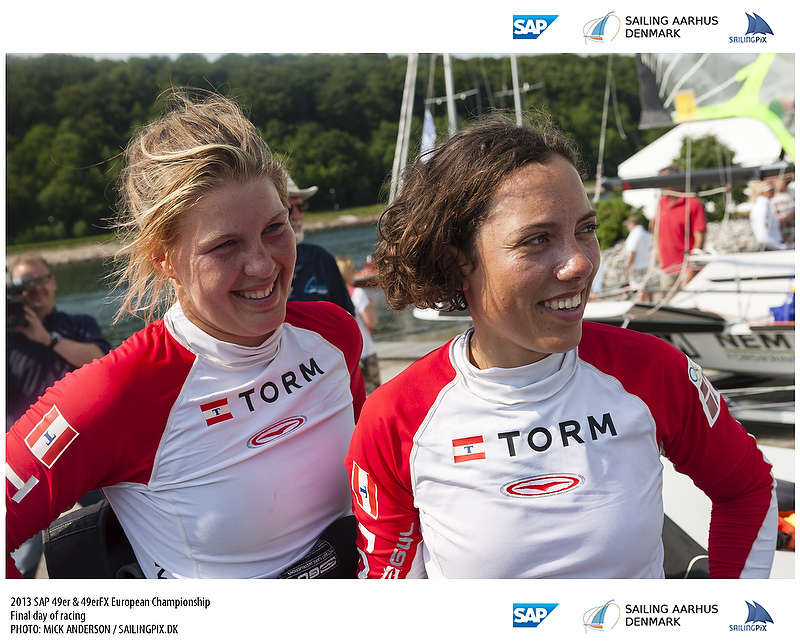 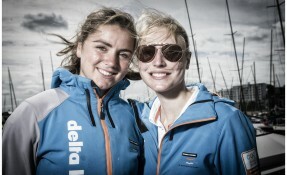 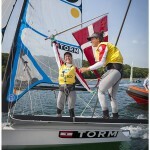 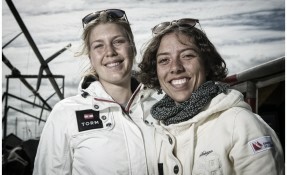 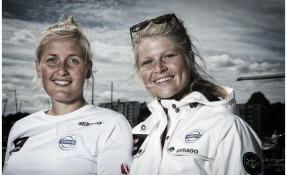 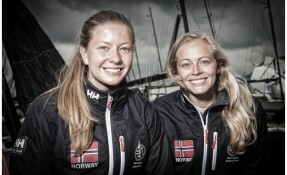 Striking first was local favorites Ida Nieslen and Marie Olsen ahead of British Sailing teams Charlotte Dobson and Sophie Ainswoth. 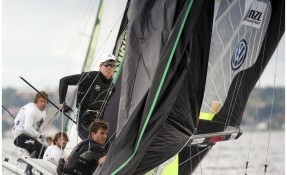 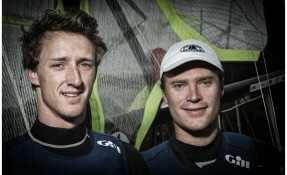 The overall consensus from the 49erFX fleet was just how tough the racing was out there. 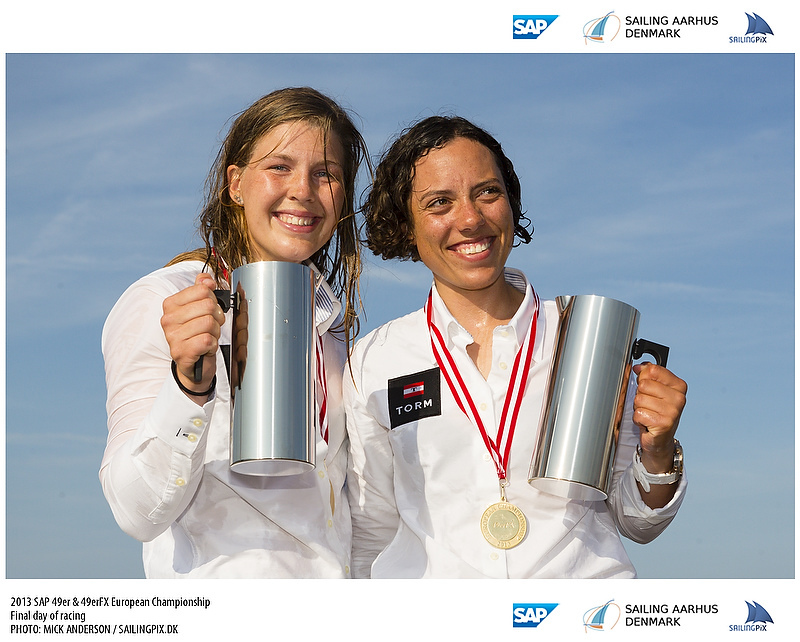 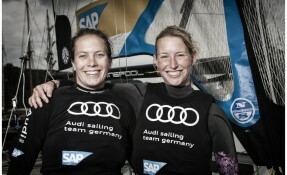 Only 1 team, Tina Lutz and Susann Beuke from Sailing Team Germany managed to have a day of all single digit results. 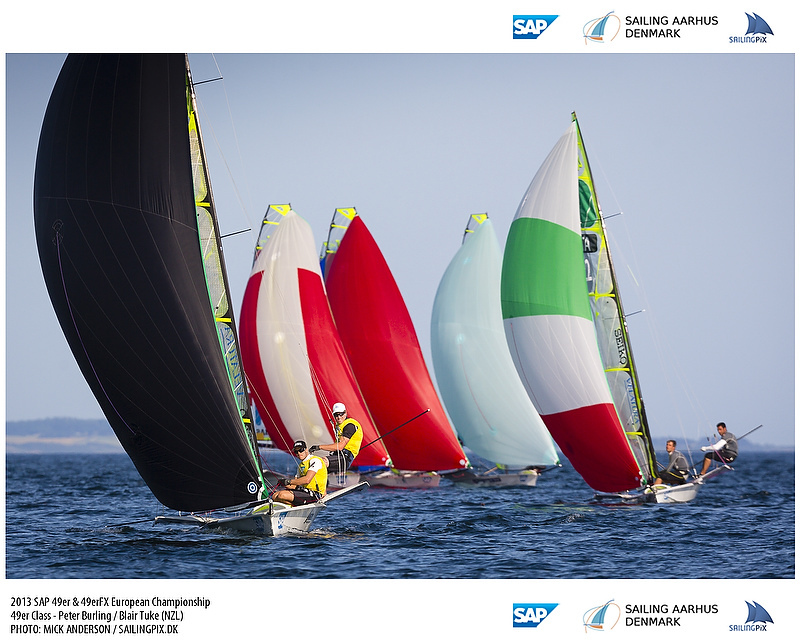 Every other team had at least one race out of the top 10, and for many of our contenders they will have sailed what’ they’d consider to be their drop race already. 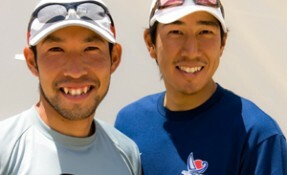 the imperfect. 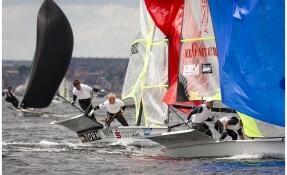 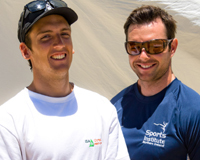 “The race officer did a good job of getting some racing in good conditions. 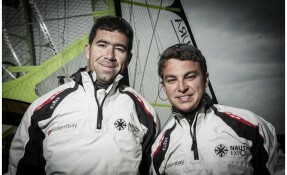 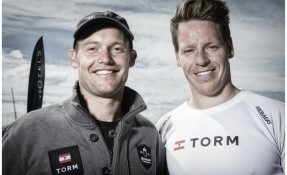 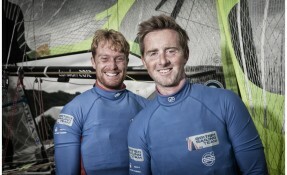 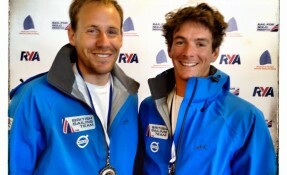 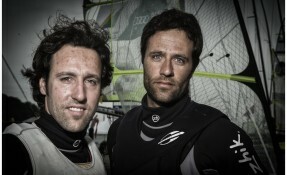 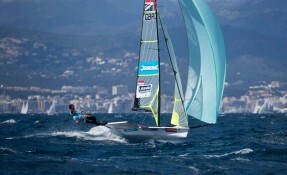 He started some but he abandoned some when he should have so it worked out OK”, said Jon Pink of the British Sailing Team. 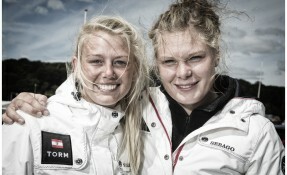 As the day continued the wind did settle down more and by the evening the sun was shining again and smiles returned. 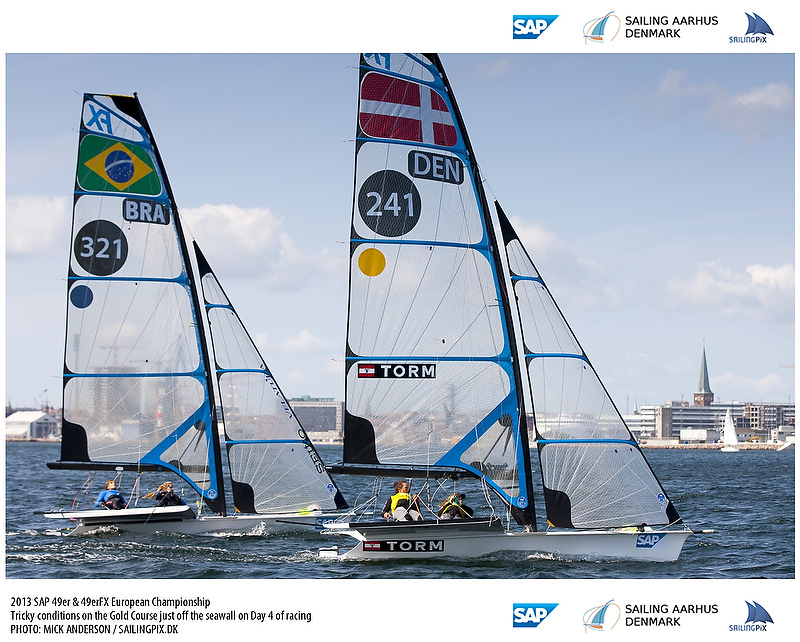 The 90+ fleet of 49ers were divided equally into 3 fleets for the qualifying stage and each fleet completed 2 races on the day. The Blue fleet were done relatively early, and the red fleet had the late shift. 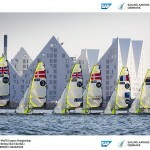 It was the yellow fleet that had the toughest day. 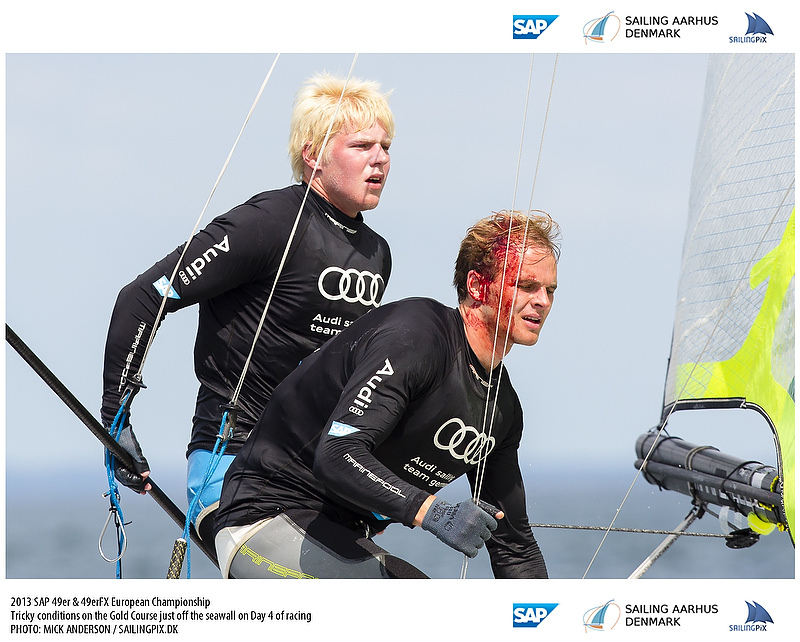 They got 1 race completed in the first 5 hours, were sent to shore and then returned for their second race to catch up with the other fleets. 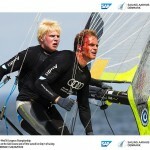 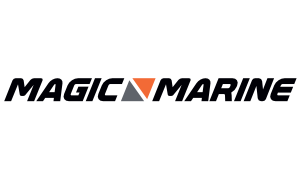 The tough situation many teams find themselves in cannot be overstated however. 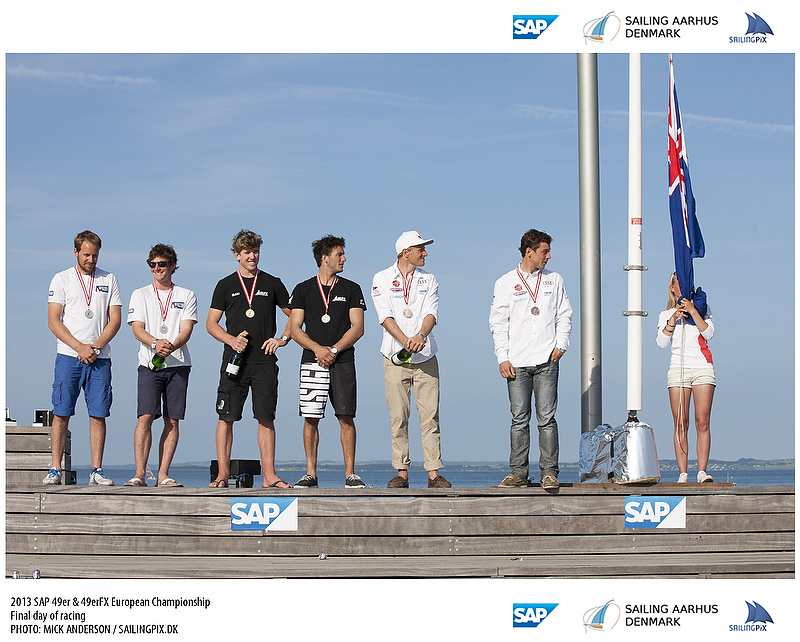 With a 2 day qualification reducing the fleet from 90 to 31, there is a lot a stake for all of these teams. 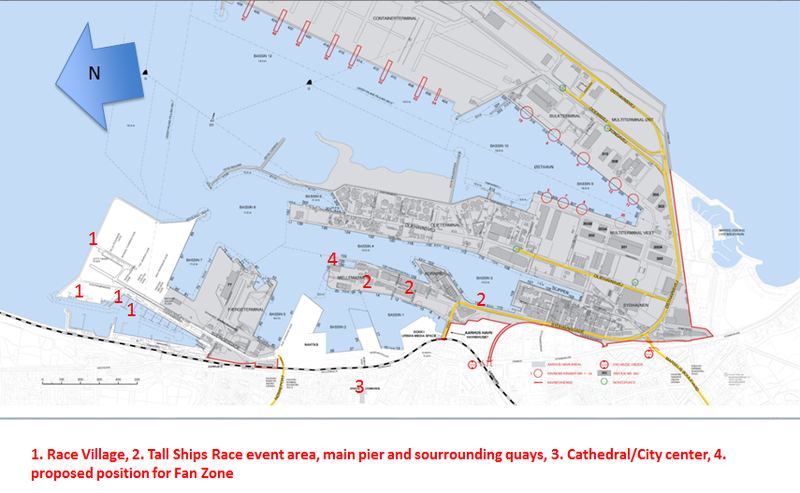 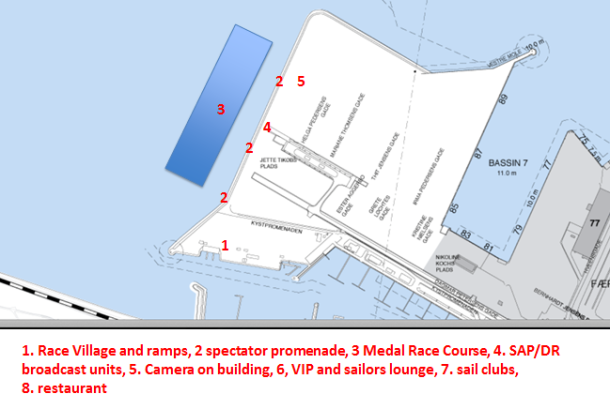 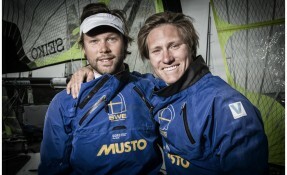 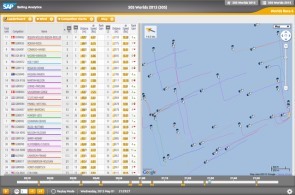 There will likely be 4 race tomorrow in 15 knots so that a full compliment of 6 races can be completed. 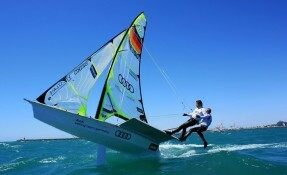 To illustrate the shifty nature of the day, check out this video with Tomas Januszewski and Jacek Nowak. 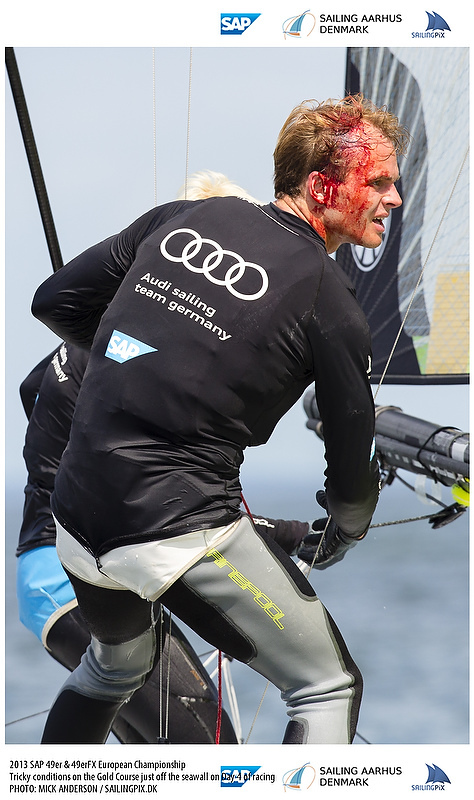 49er sailors never get a rest!